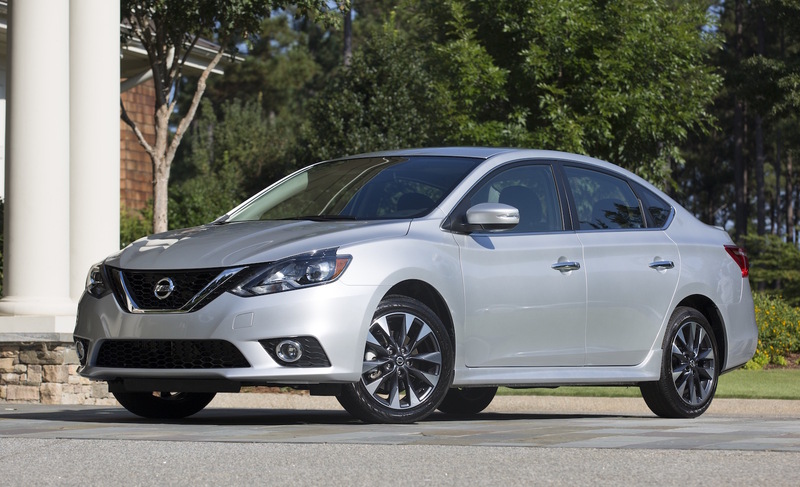 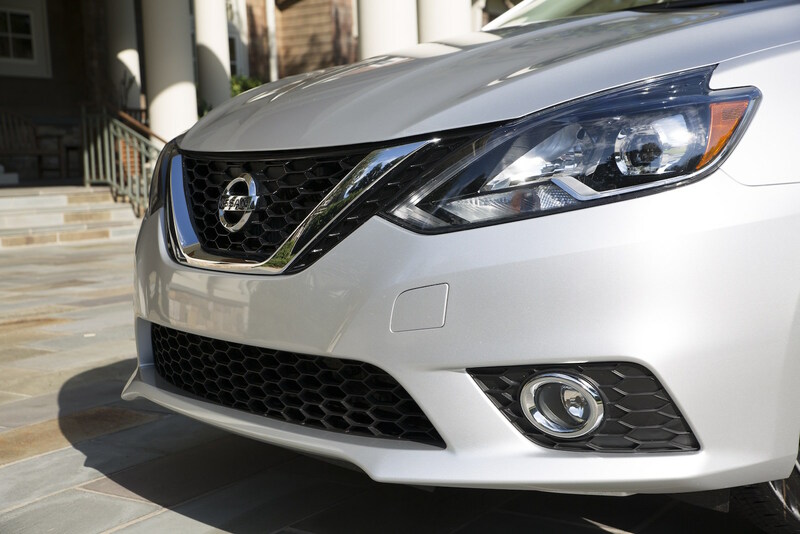 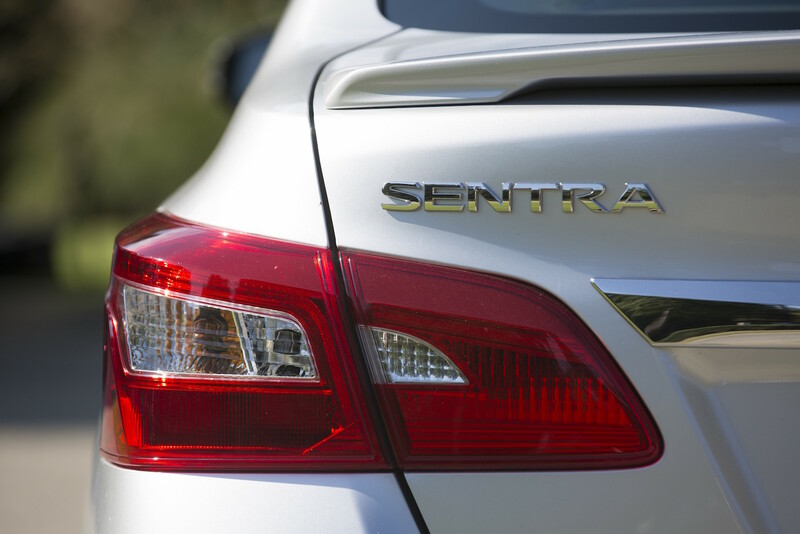 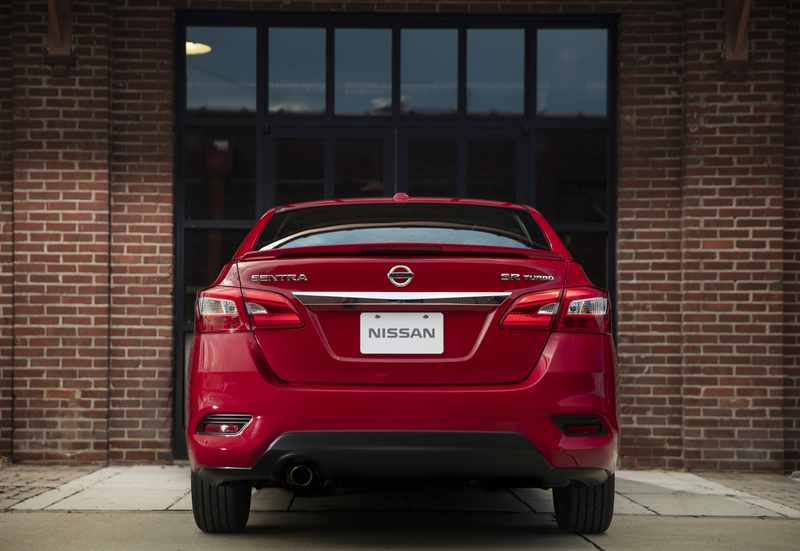 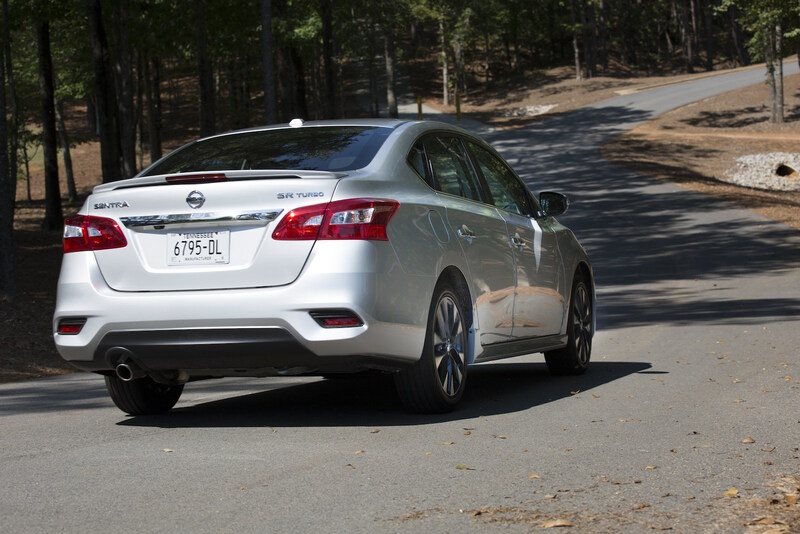 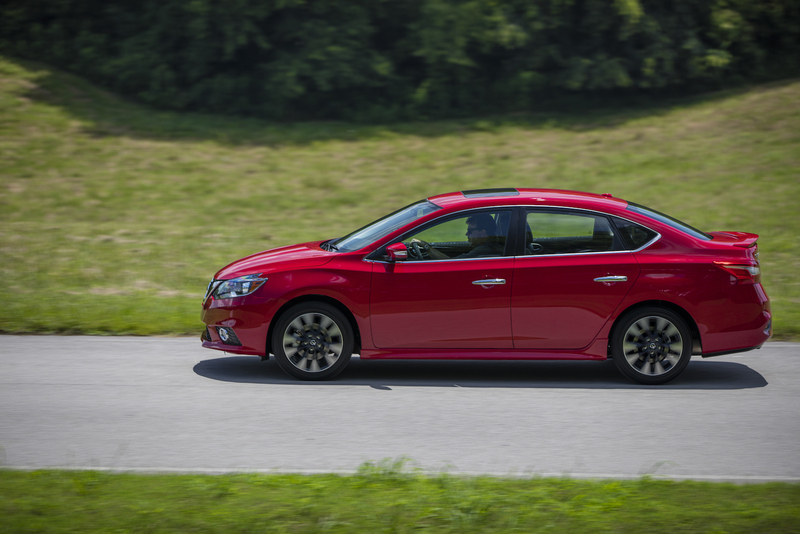 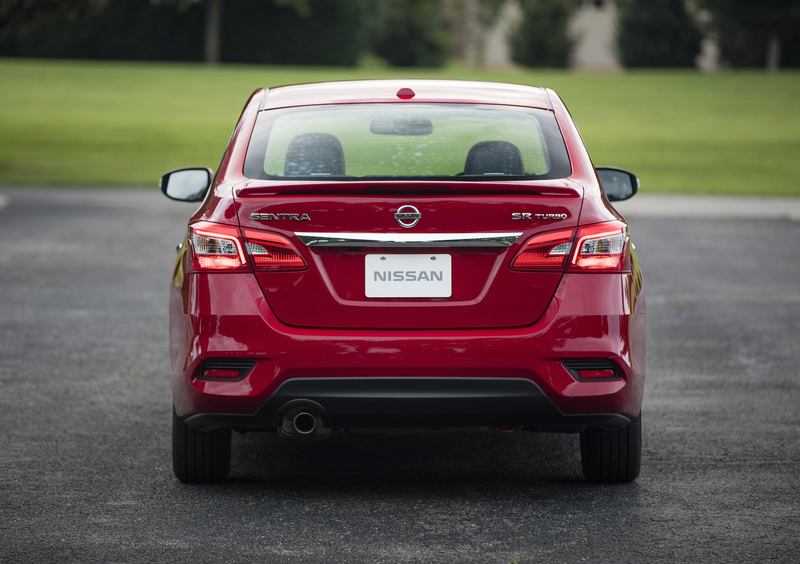 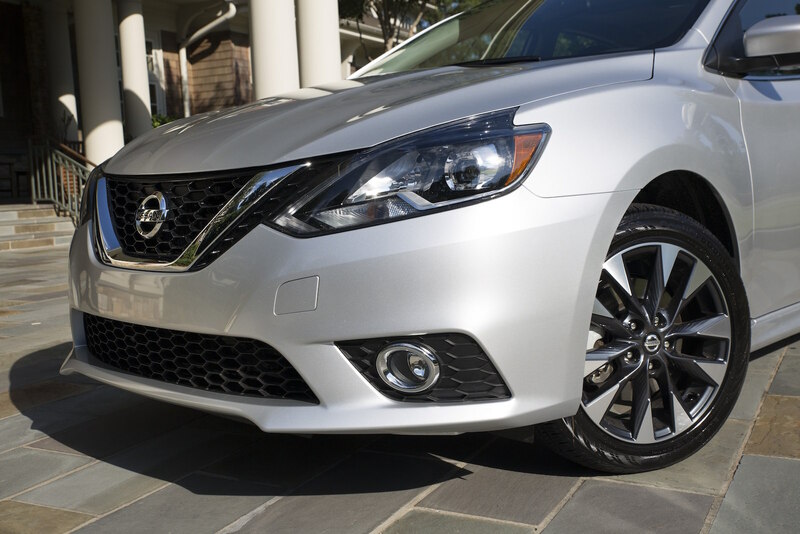 The best thing you can really say about the Nissan Sentra is that it’s good value. 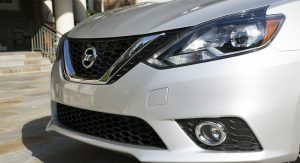 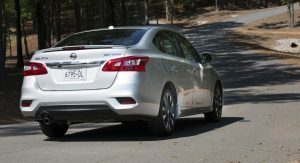 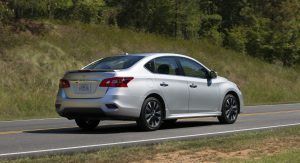 As these compact sedans get more grown up and feature-laden, the Sentra is a decent amount of car for the $20,000 range. 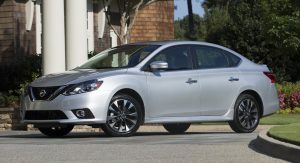 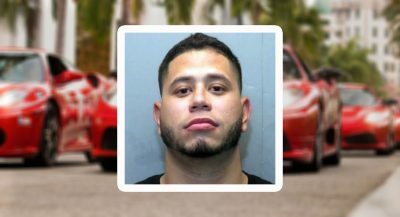 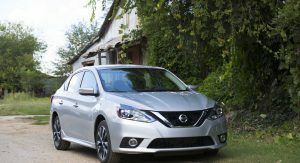 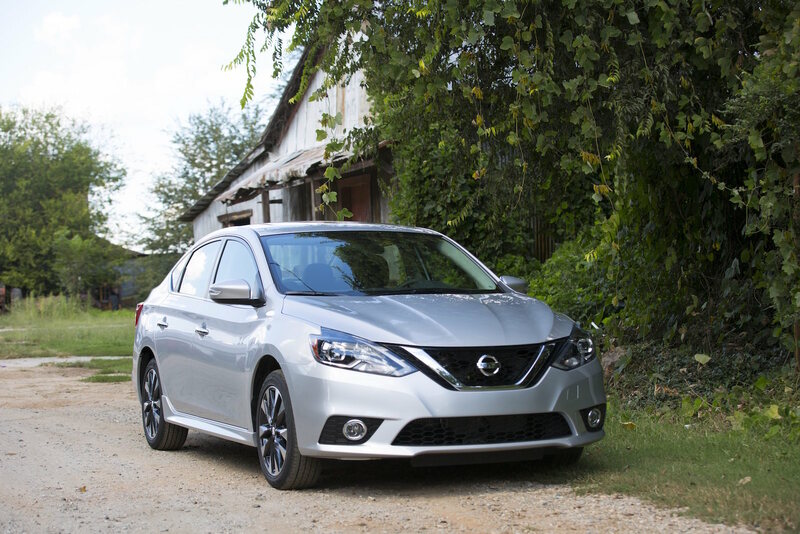 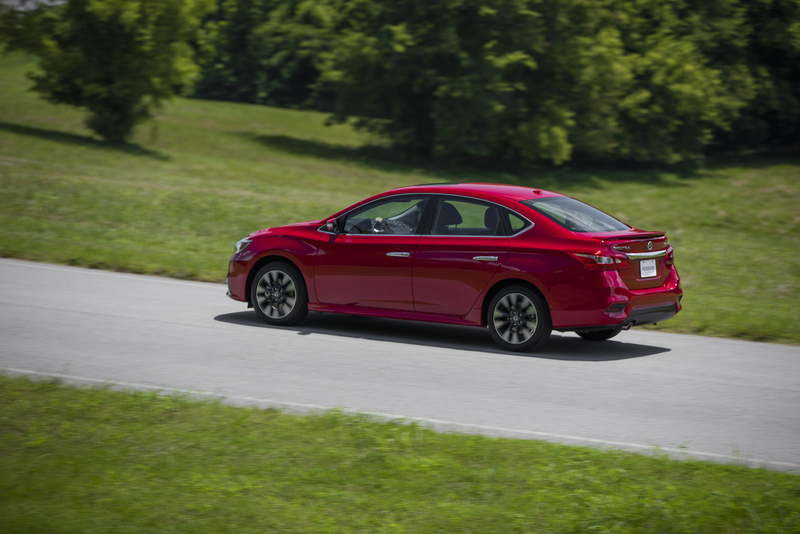 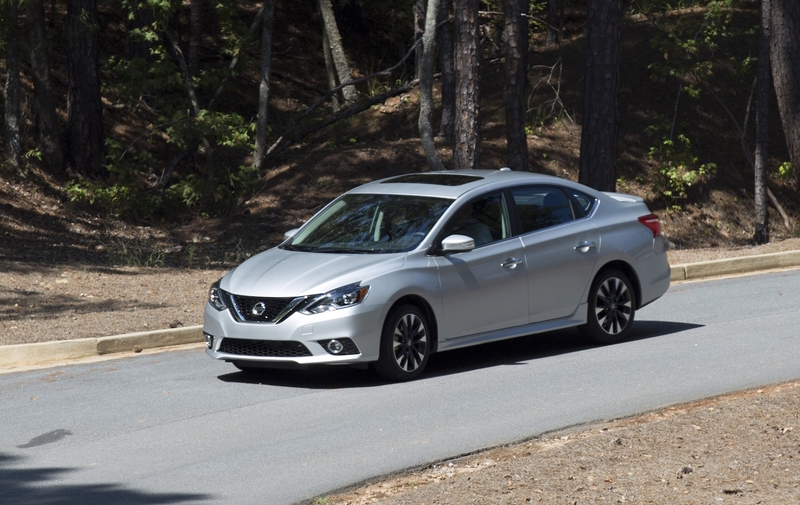 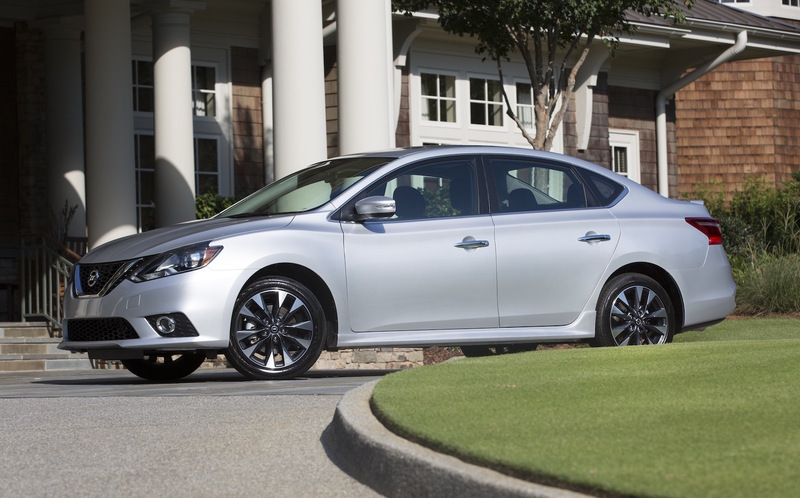 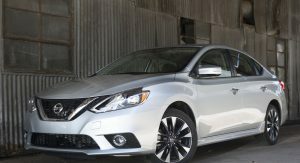 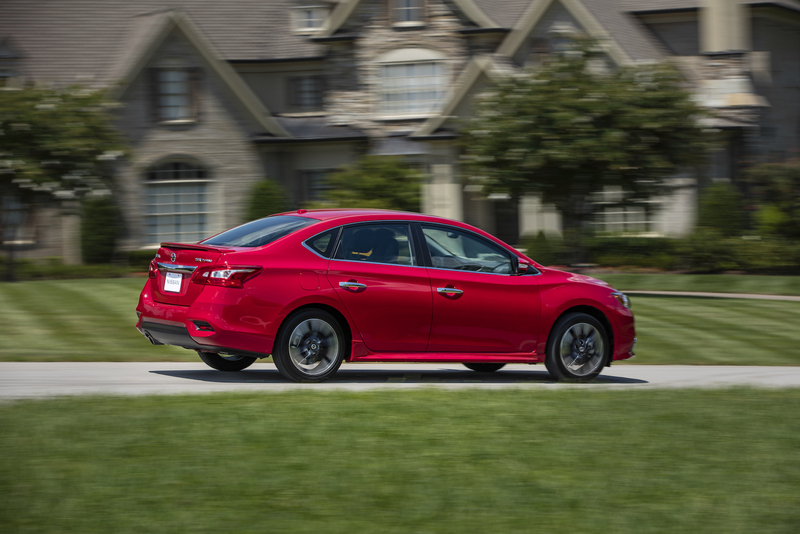 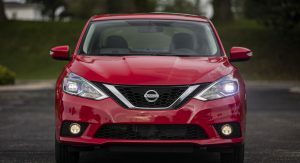 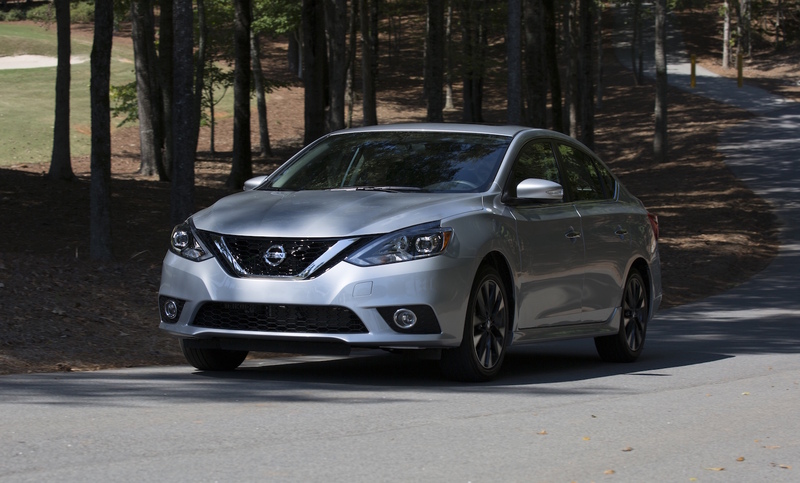 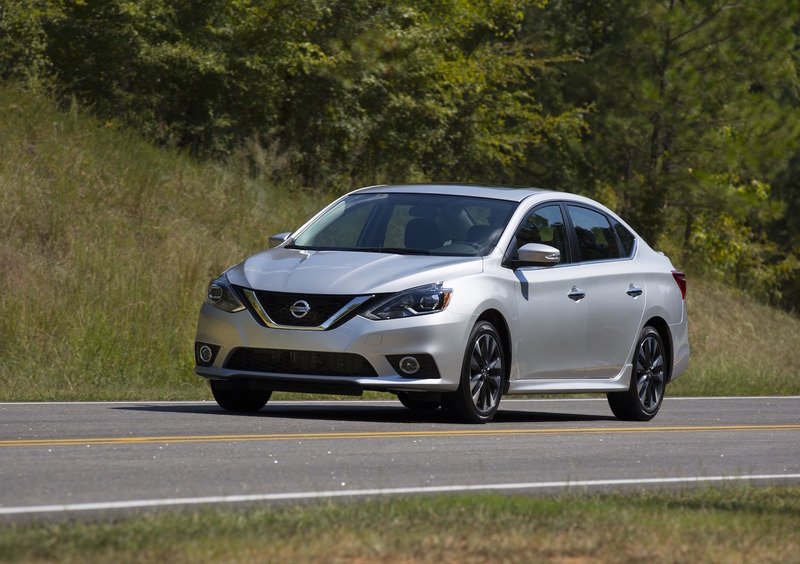 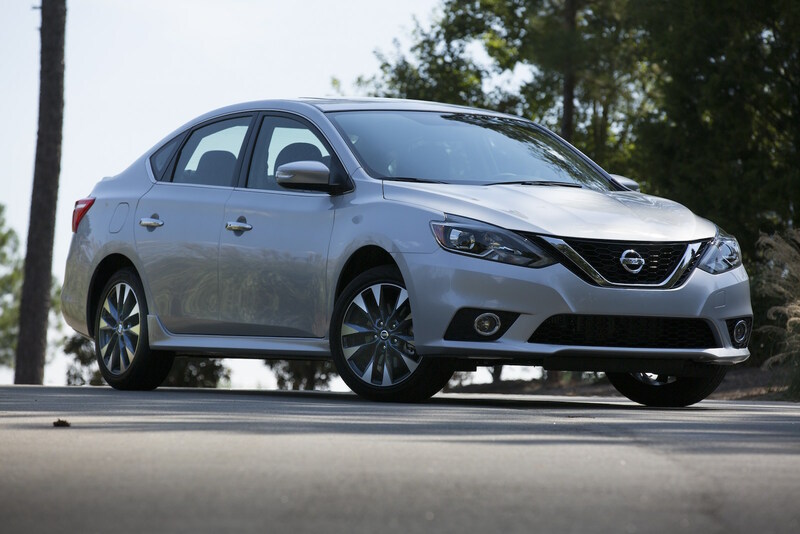 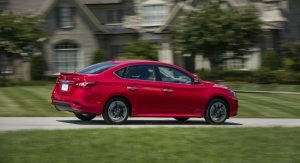 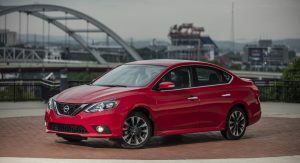 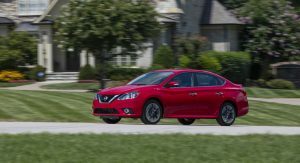 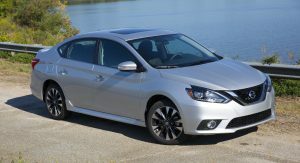 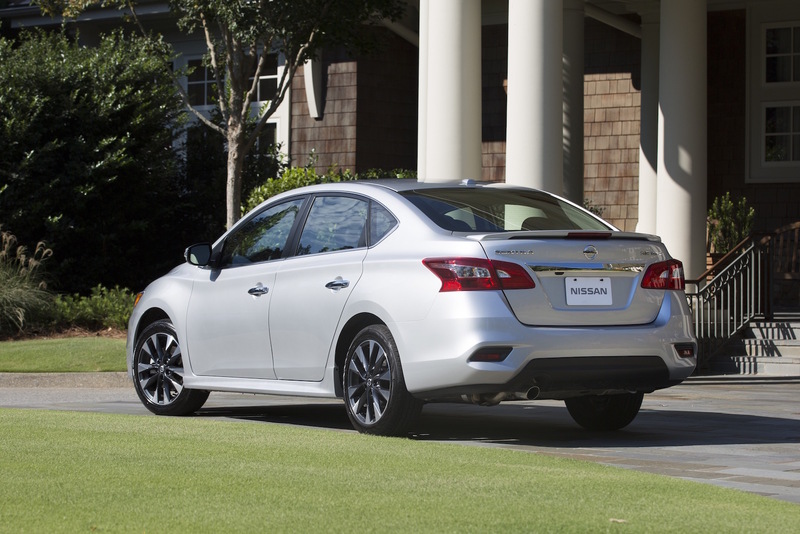 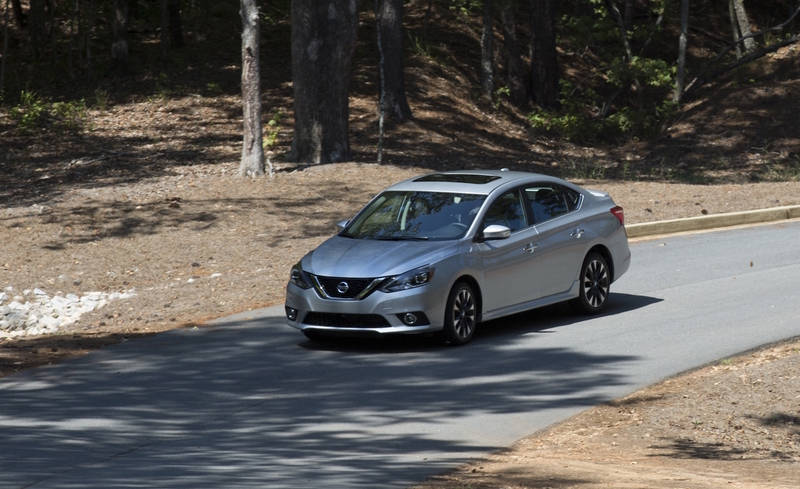 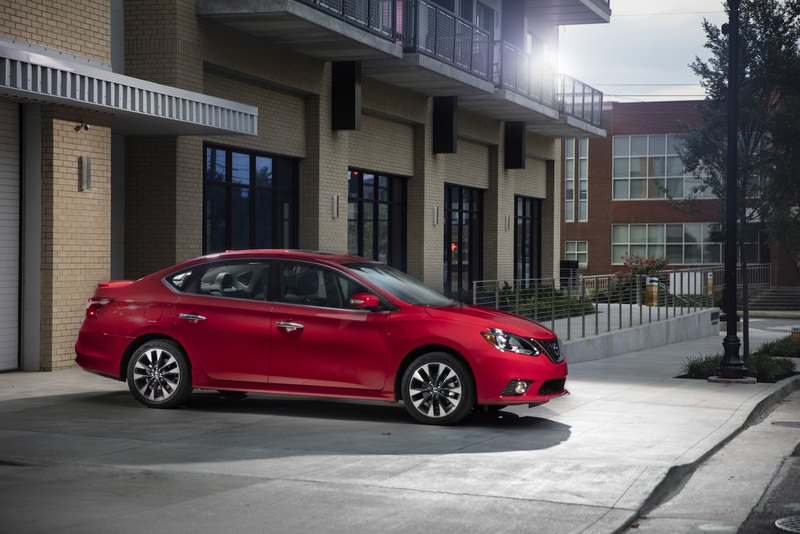 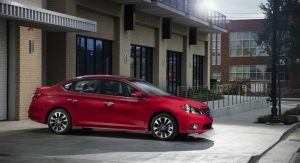 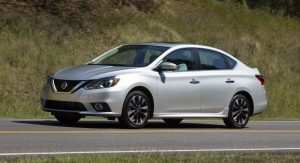 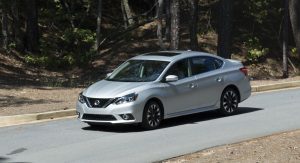 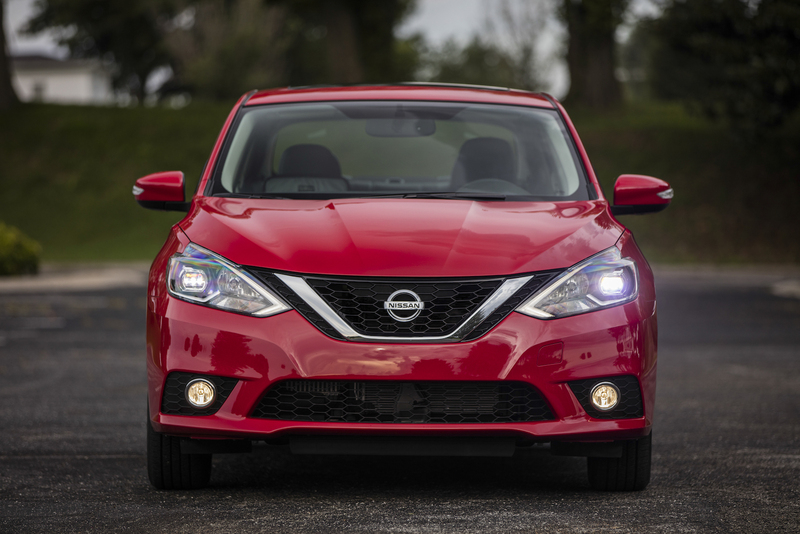 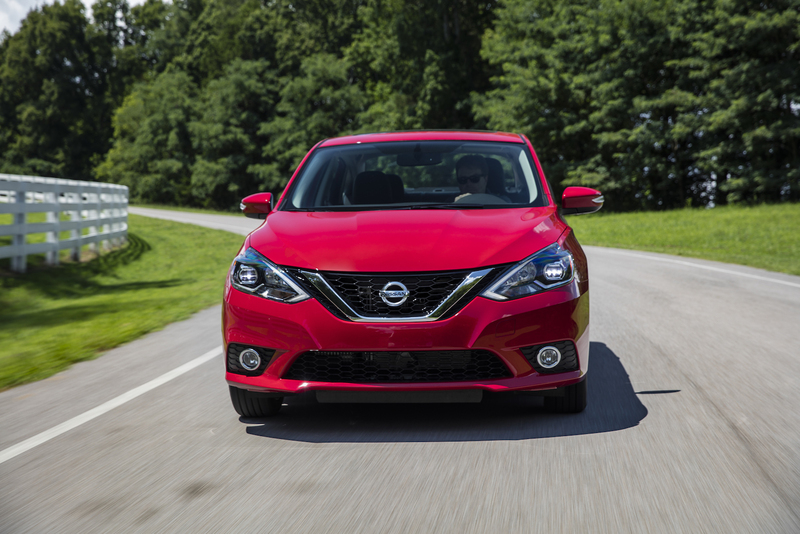 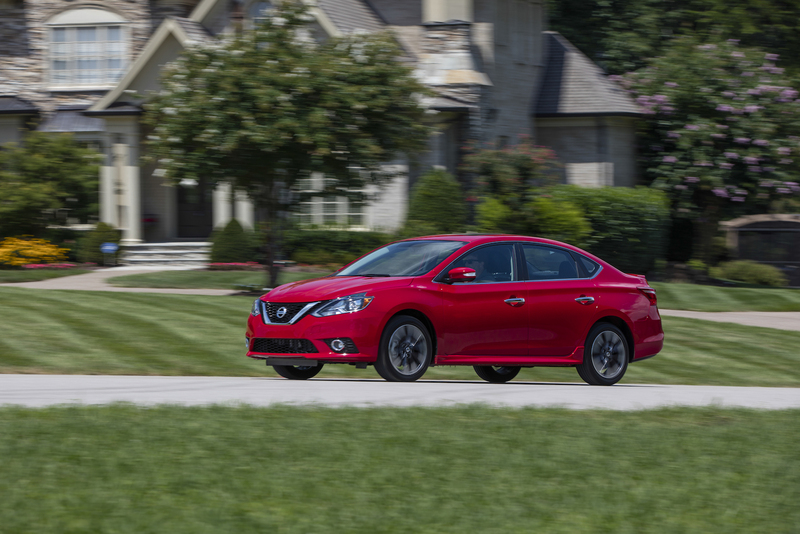 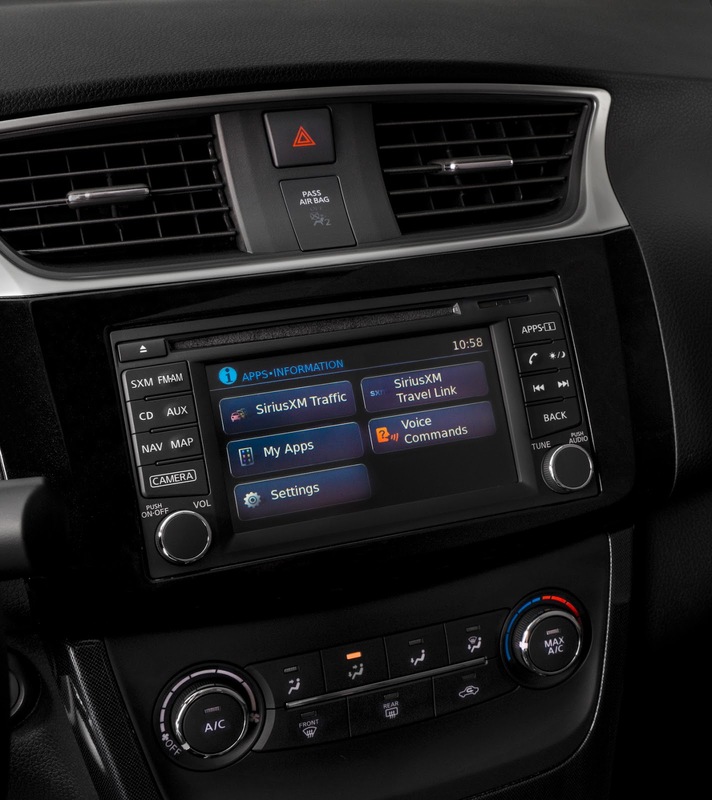 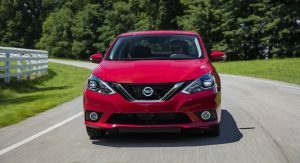 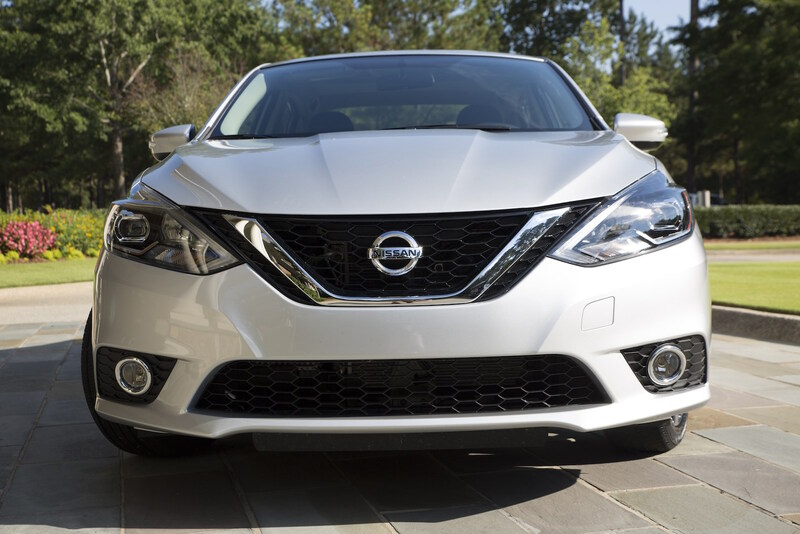 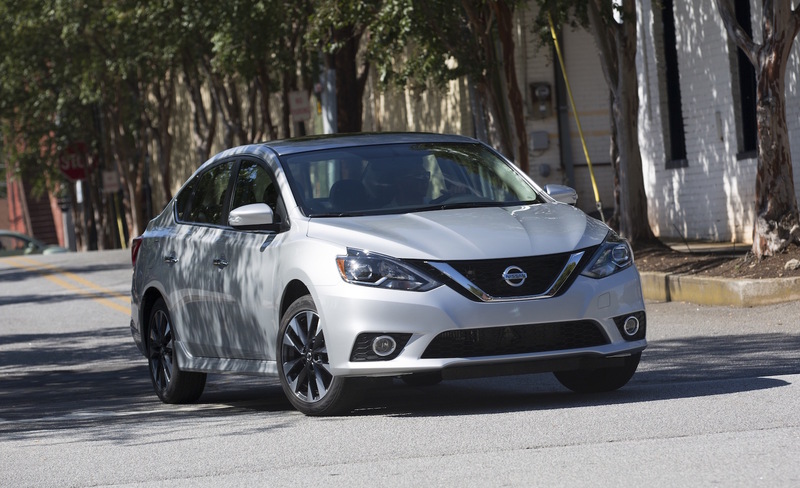 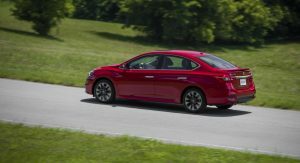 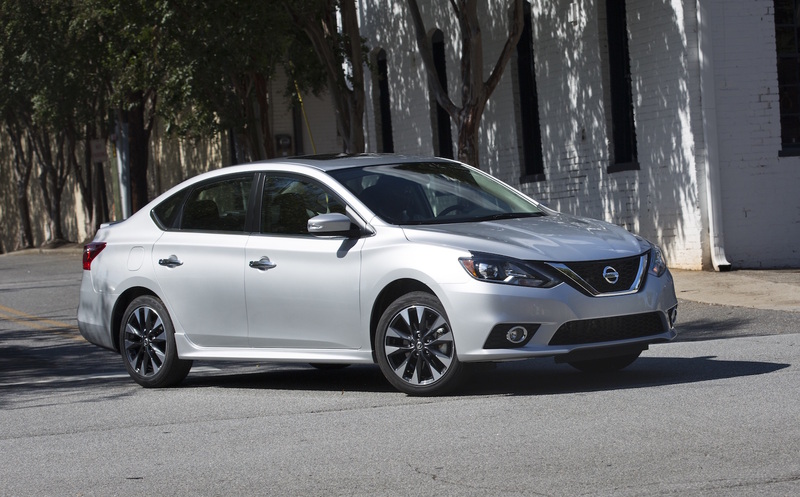 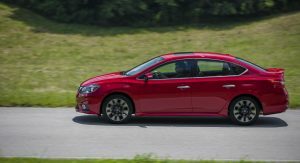 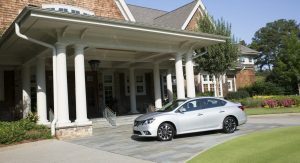 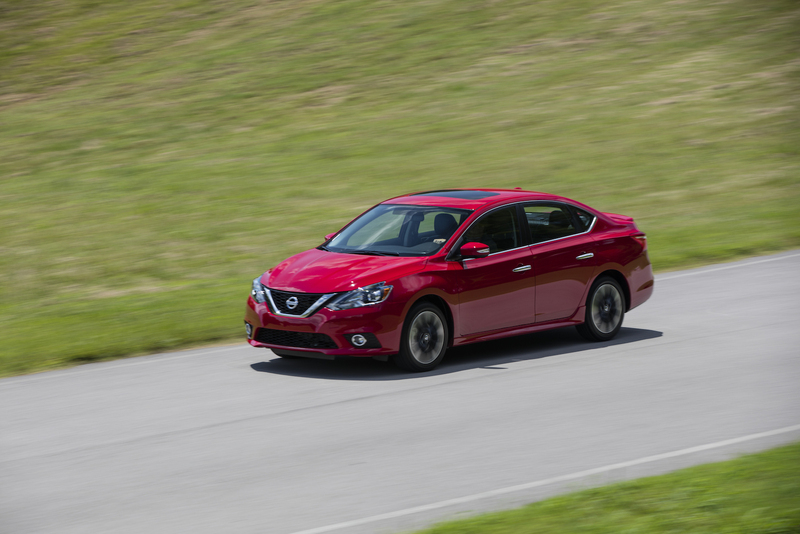 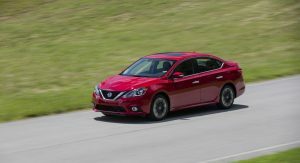 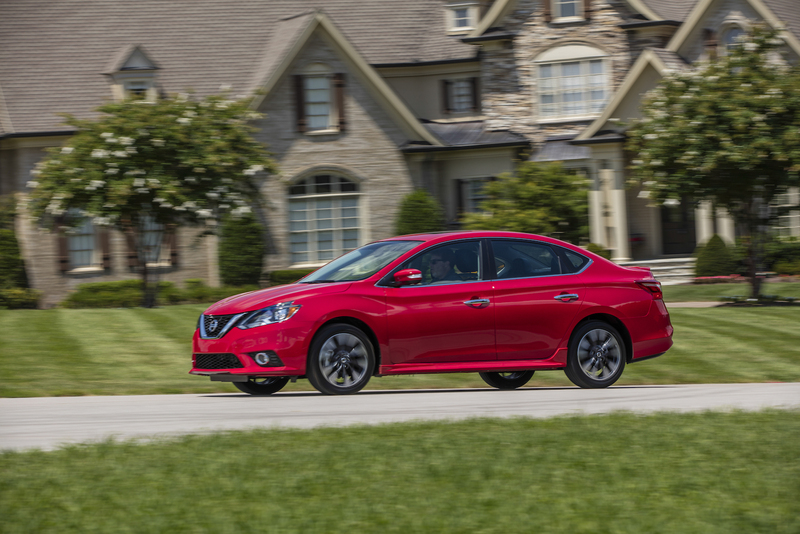 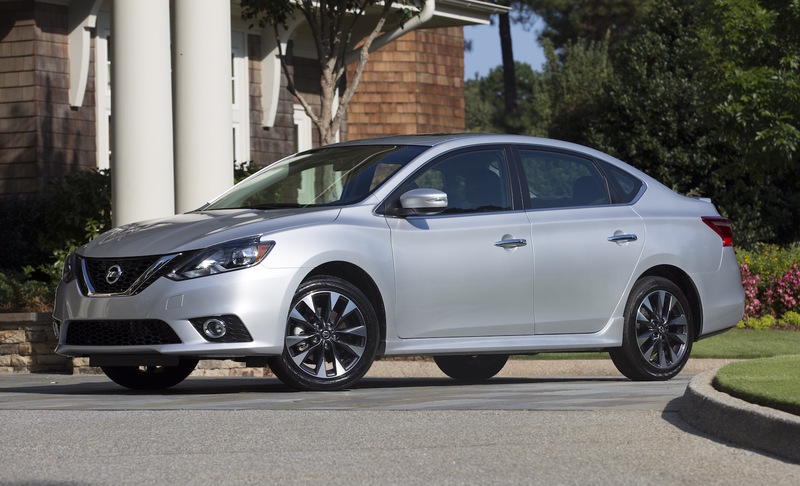 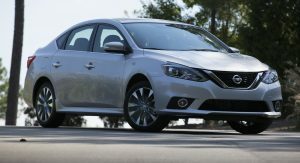 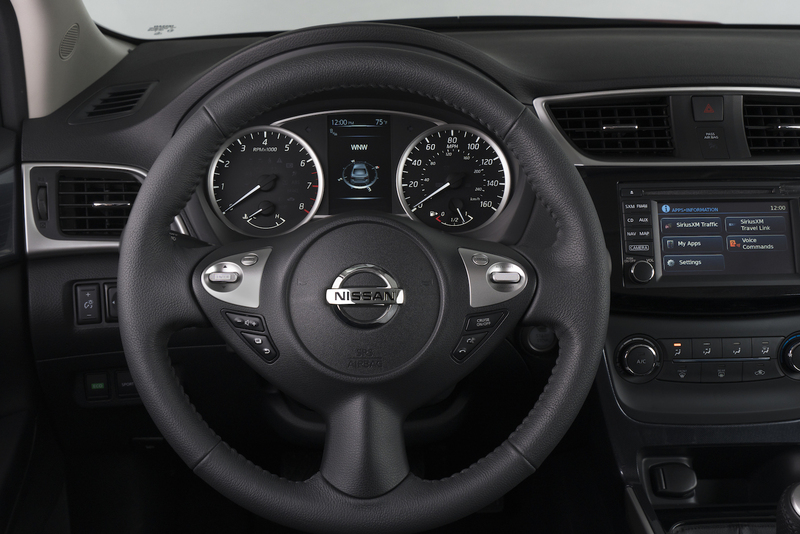 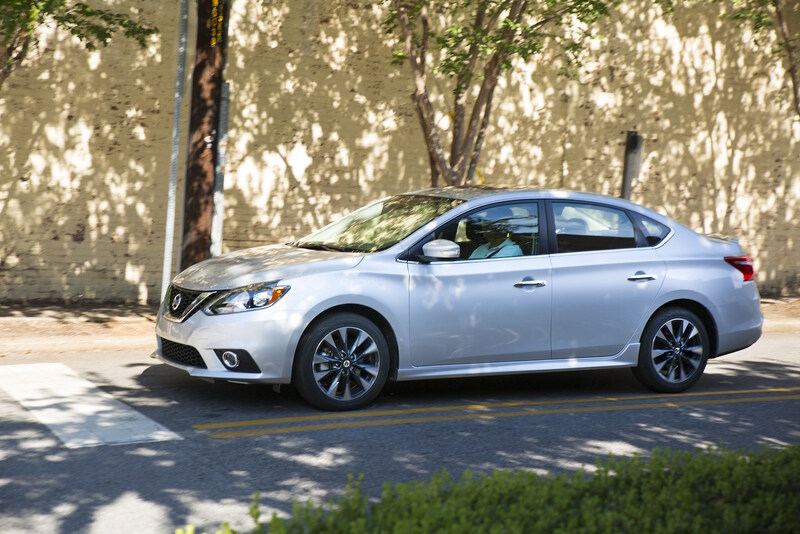 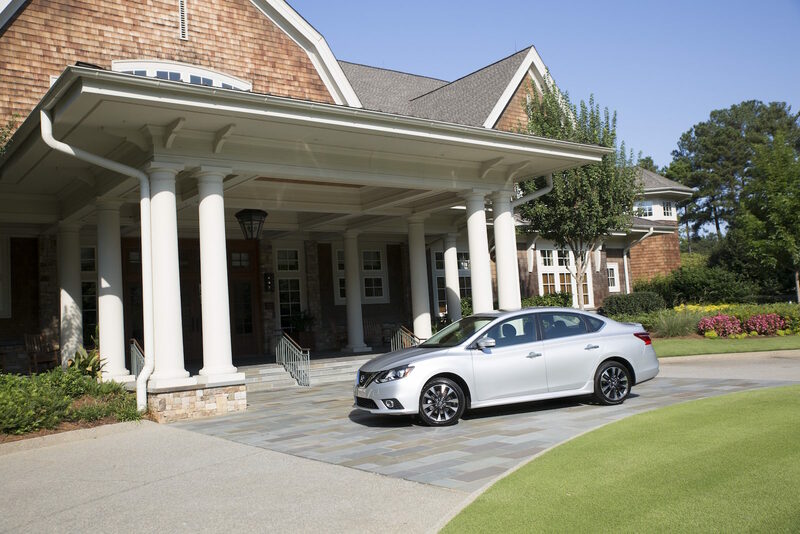 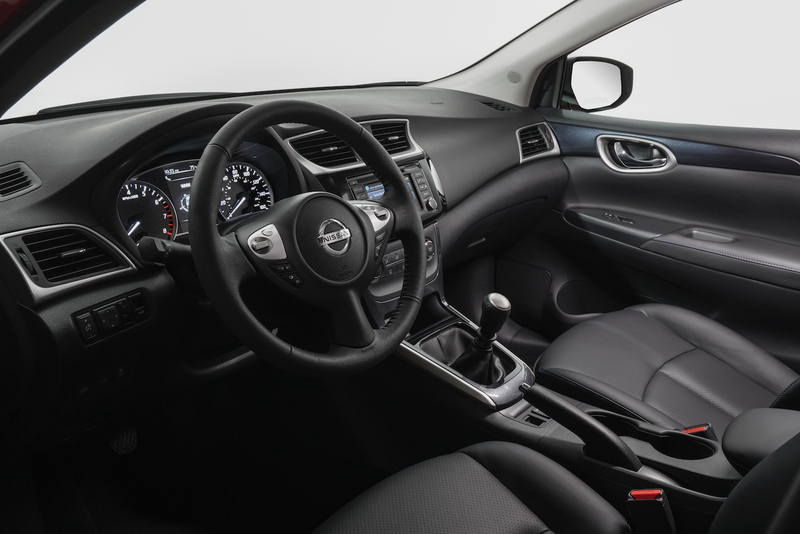 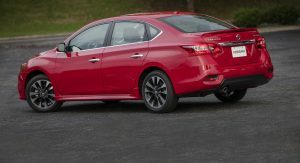 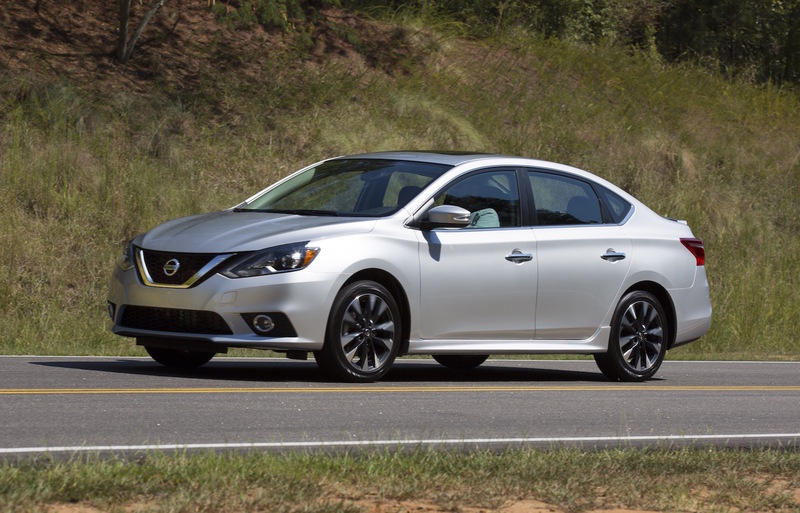 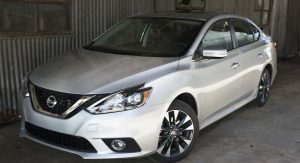 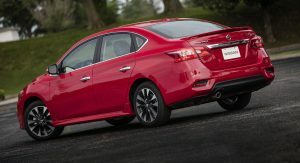 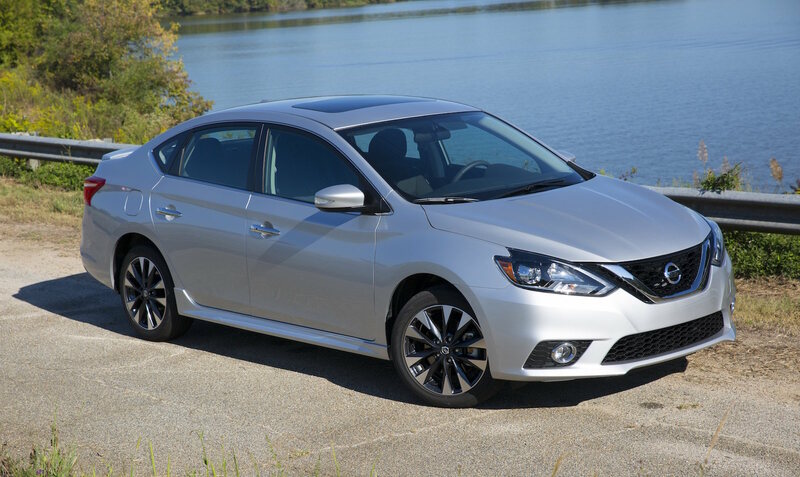 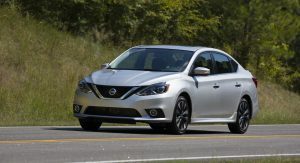 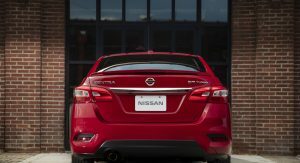 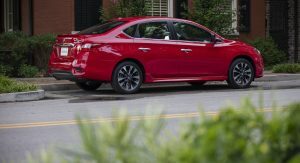 But most buyers will be tempted to add a little to their monthly payment and get one of the more accomplished cars in this class, ones that are more powerful and more refined than even the facelifted and quieted 2016 Sentra. 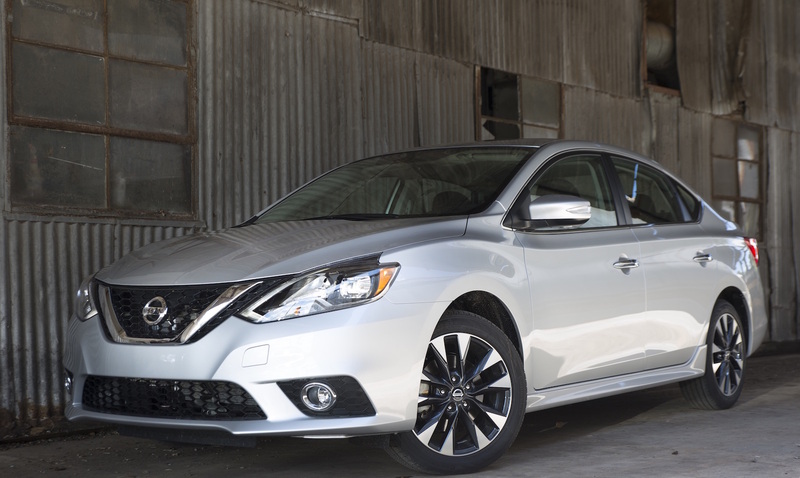 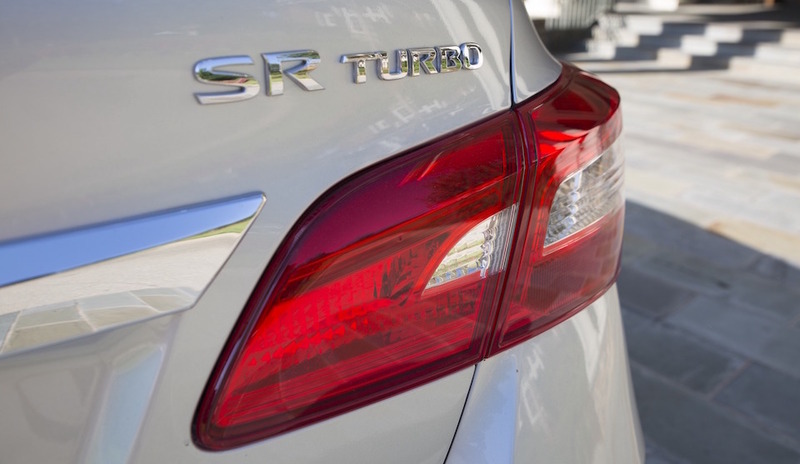 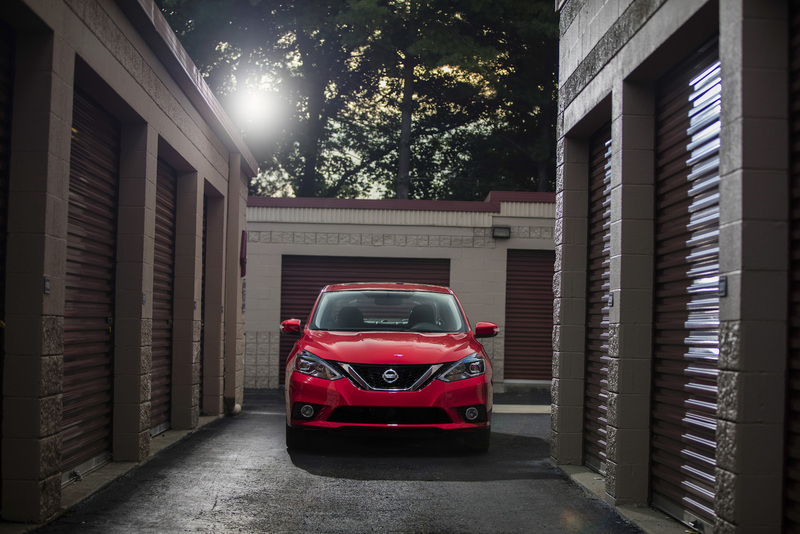 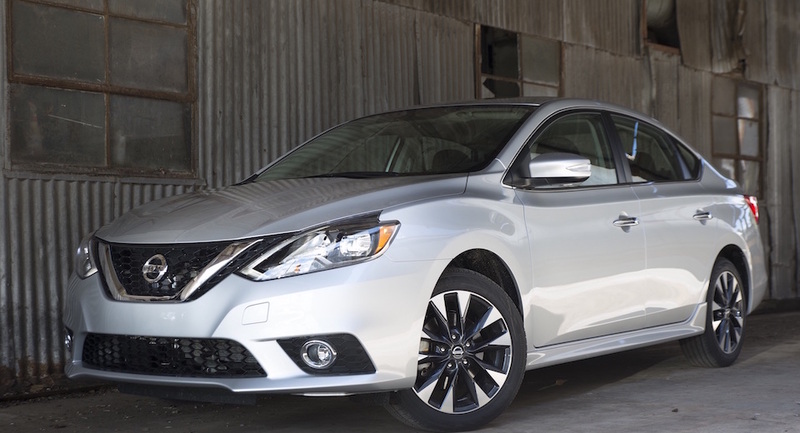 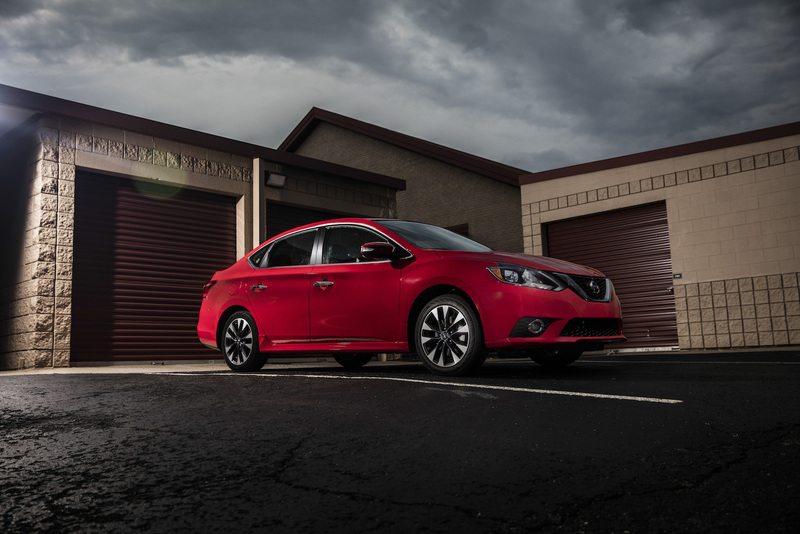 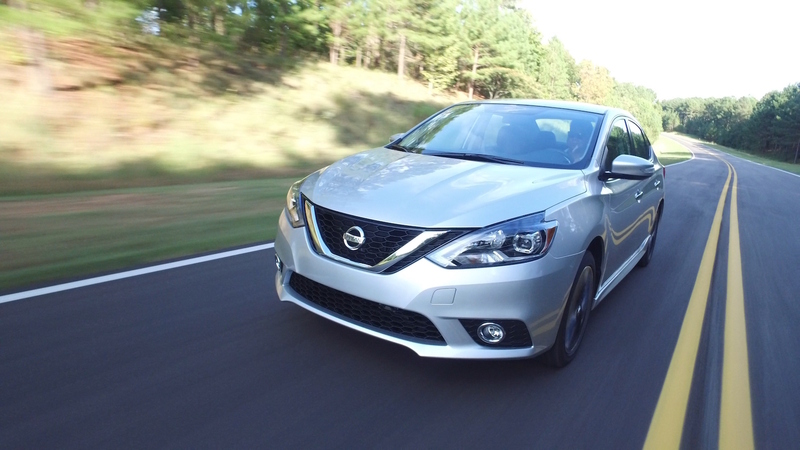 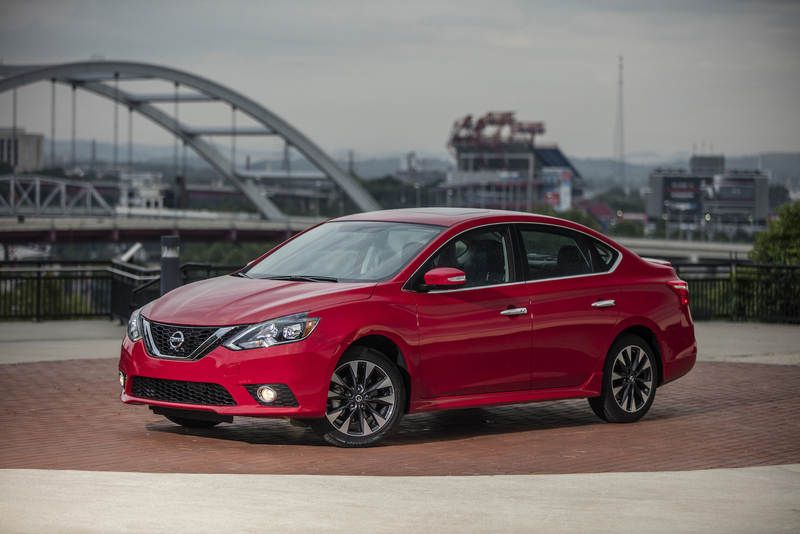 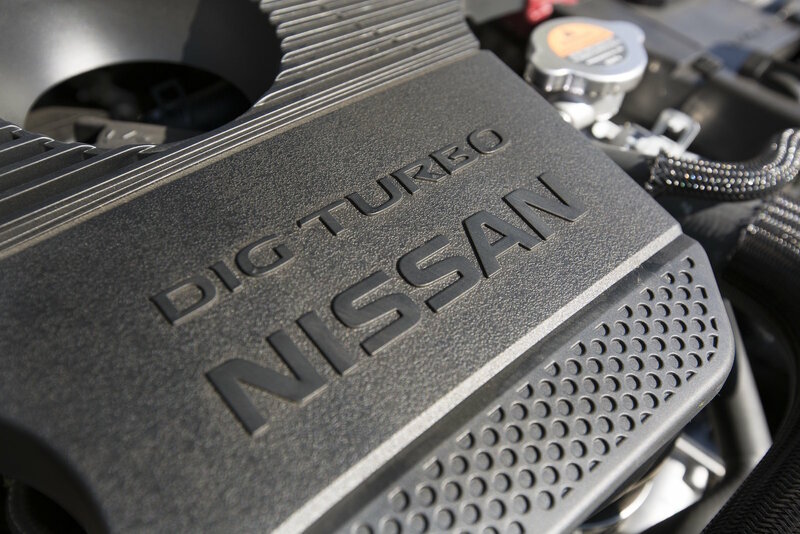 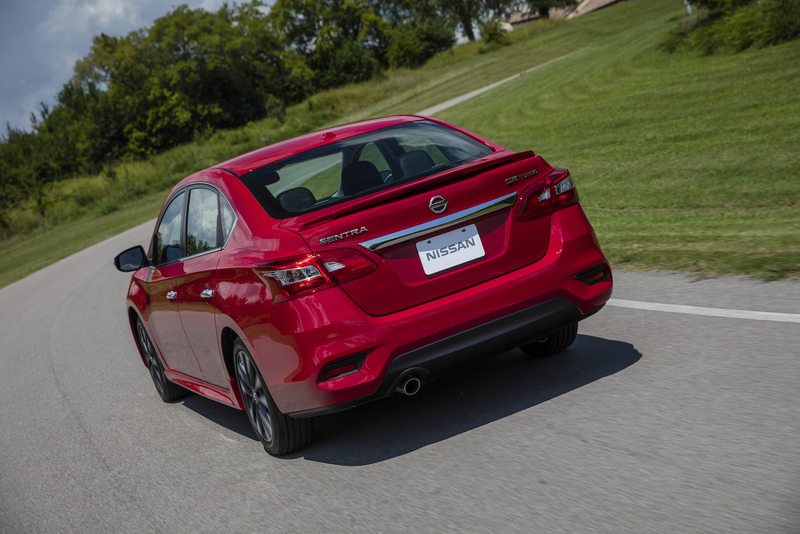 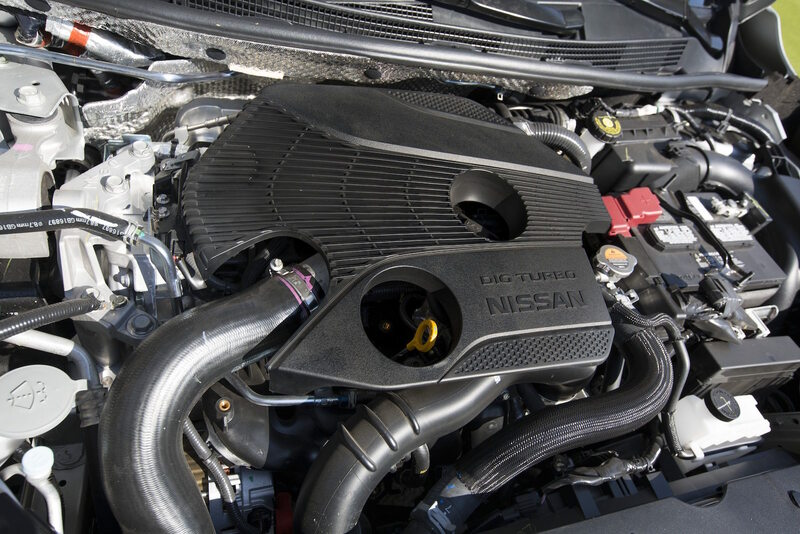 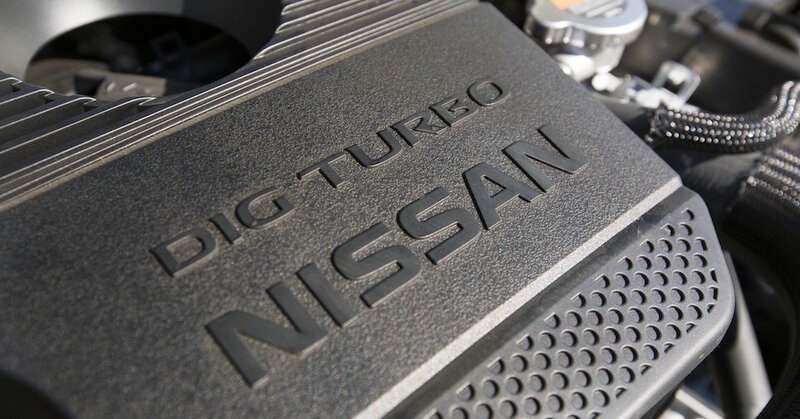 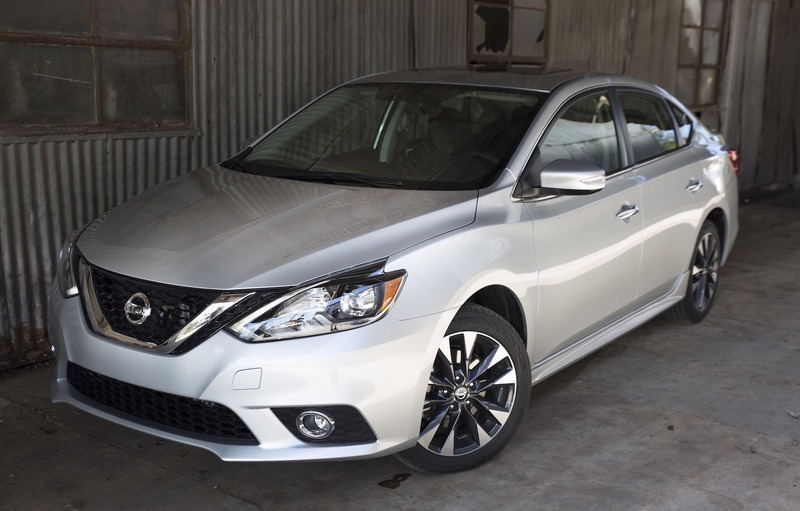 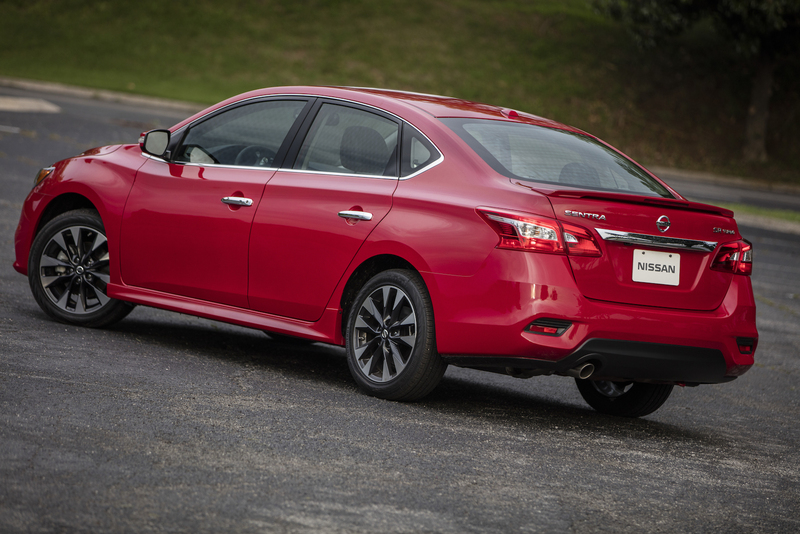 Nissan has finally addressed the power situation with the 2017 Nissan Sentra SR Turbo. 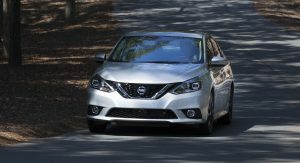 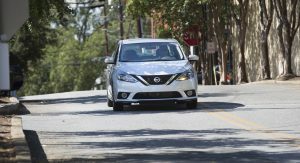 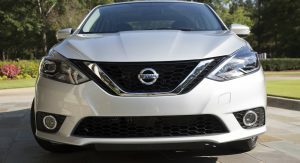 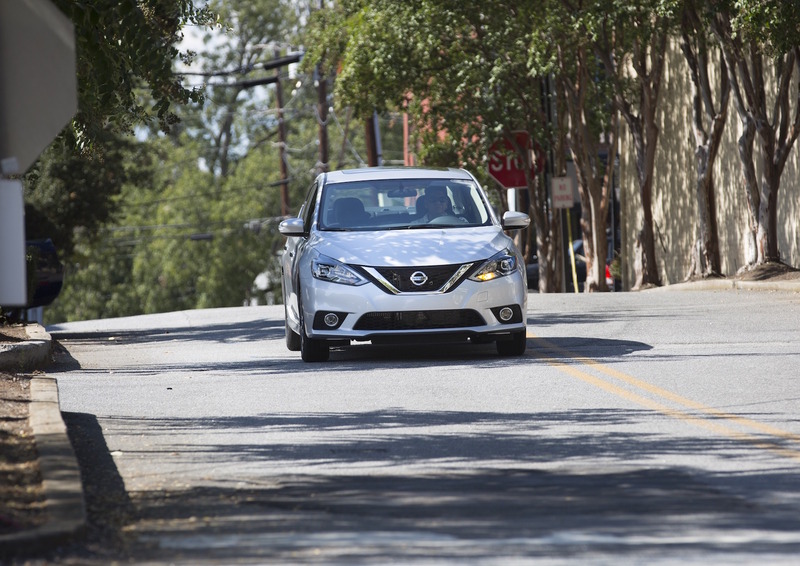 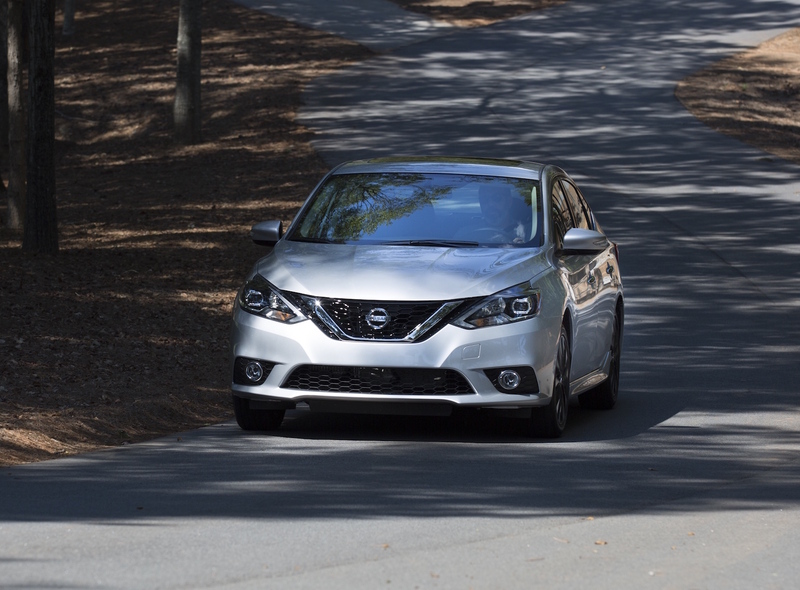 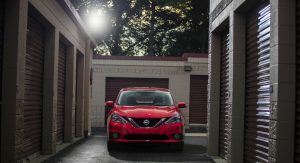 Nissan invited me earlier this week to state of Georgia to take a look at the 2017 Rogue – but before that review comes along, I can tell you what the also-new Sentra SR Turbo was like after a quick drive. 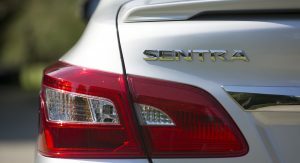 Not that you’d ever pick it out from a police lineup against other Sentra SRs. 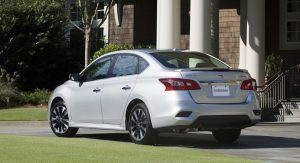 When I first saw the Turbo, I immediately dismissed it as the same Sentra I drove earlier this year until someone I was walking around with read the badges on the back. 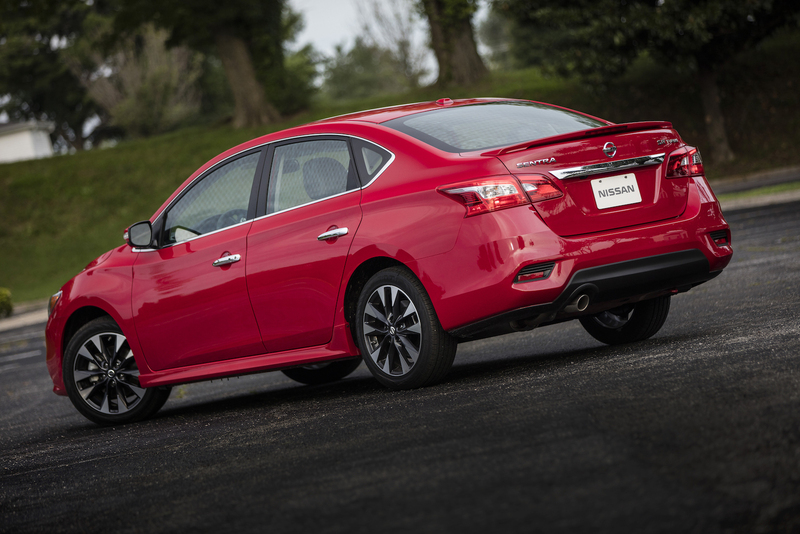 Those of us hoping Nissan would go full NISMO on the Sentra are sorely disappointed. 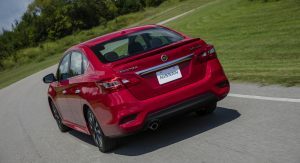 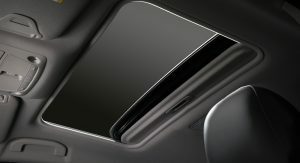 But in reality, the modest changes to the car would’ve likely been oversold by any outlandish additions to the exterior. 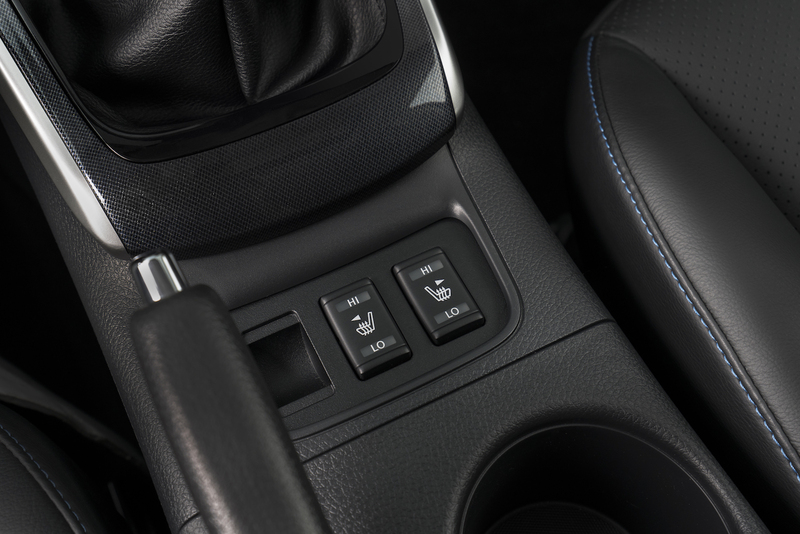 Changes are even less noticeable inside. 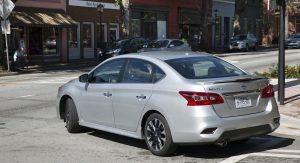 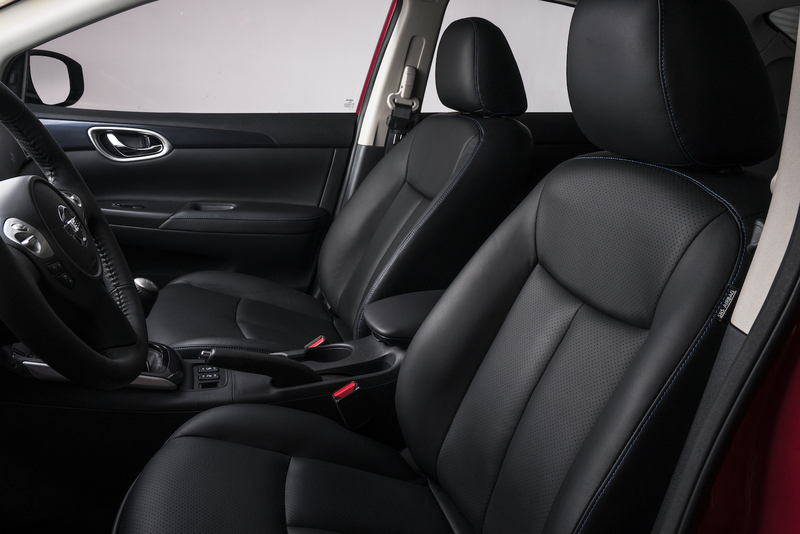 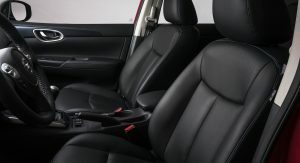 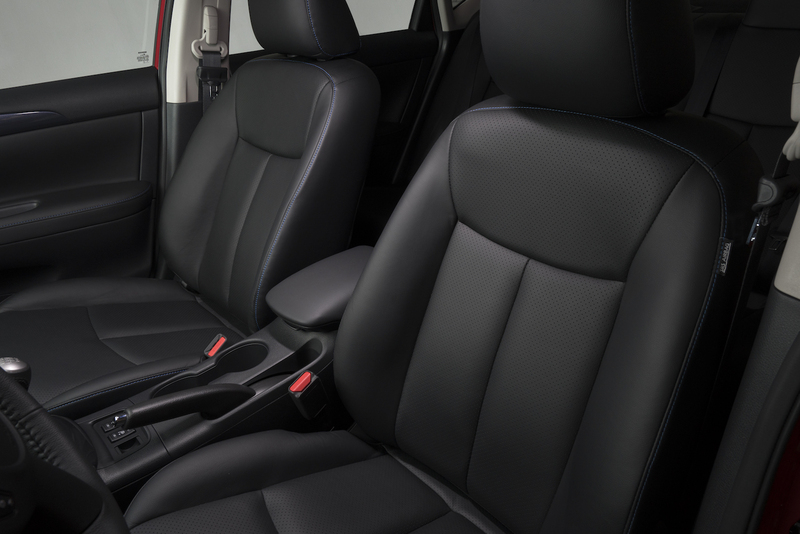 Apart from different fabric, it was like jumping back several months ago to roughly the same Sentra I drove – and a lot of people who’ve been in a recent Sentra would likely agree. It’s serviceable for less than $20,000, but off its game compared to what you’d find at a Honda, Hyundai or even Chevrolet dealership today. 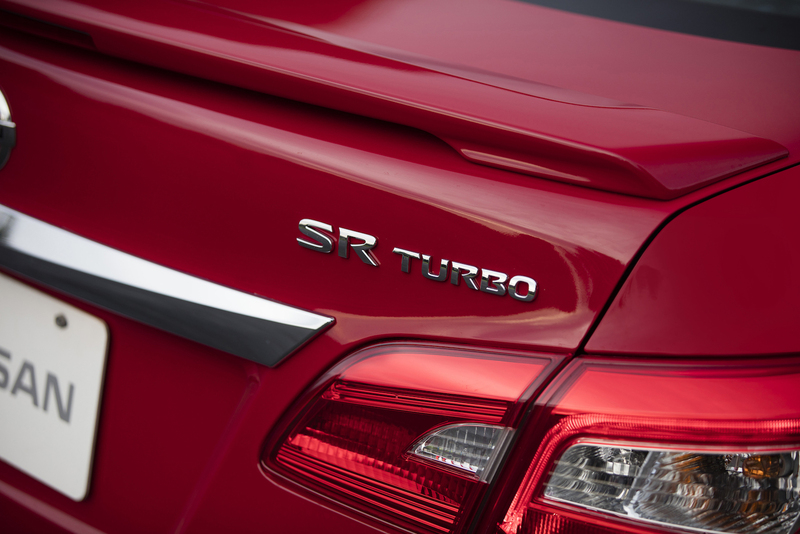 By lowering expectations, the SR Turbo won’t disappoint those who got over the fact it doesn’t say “SE-R” or “NISMO” anywhere. 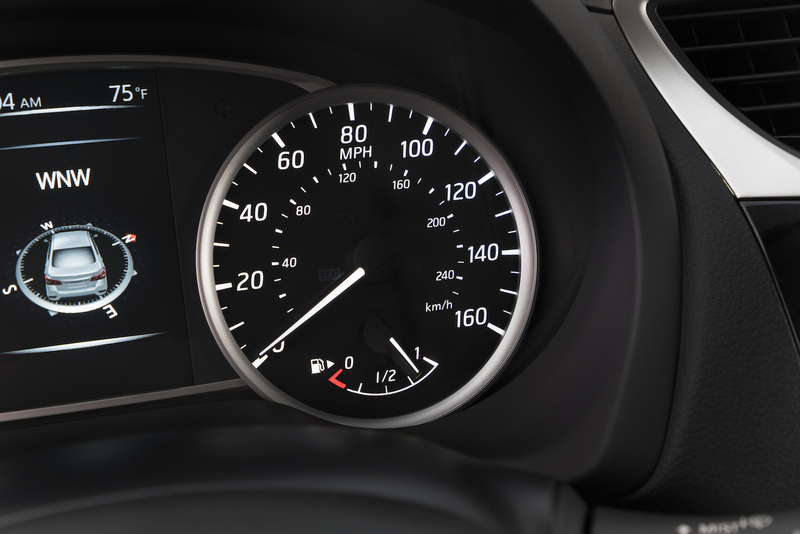 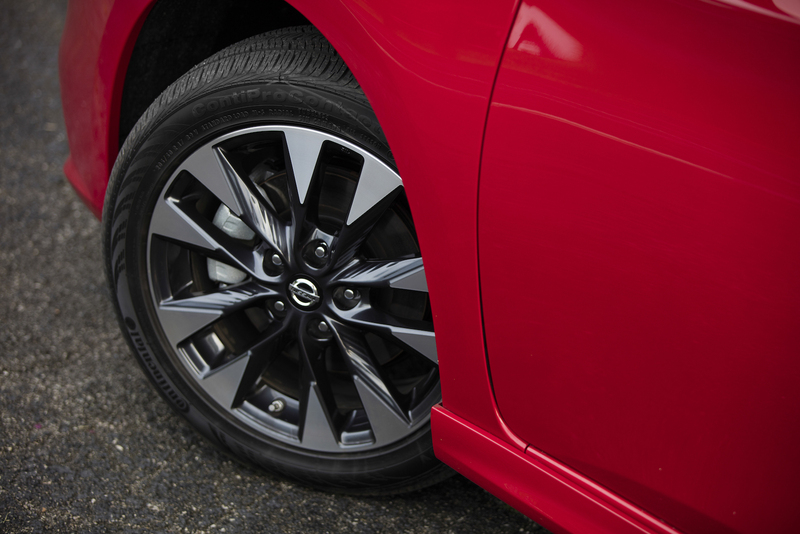 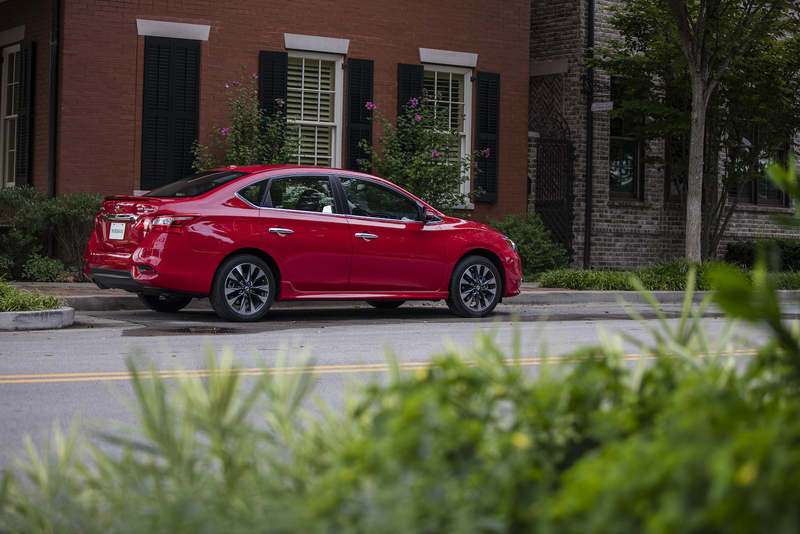 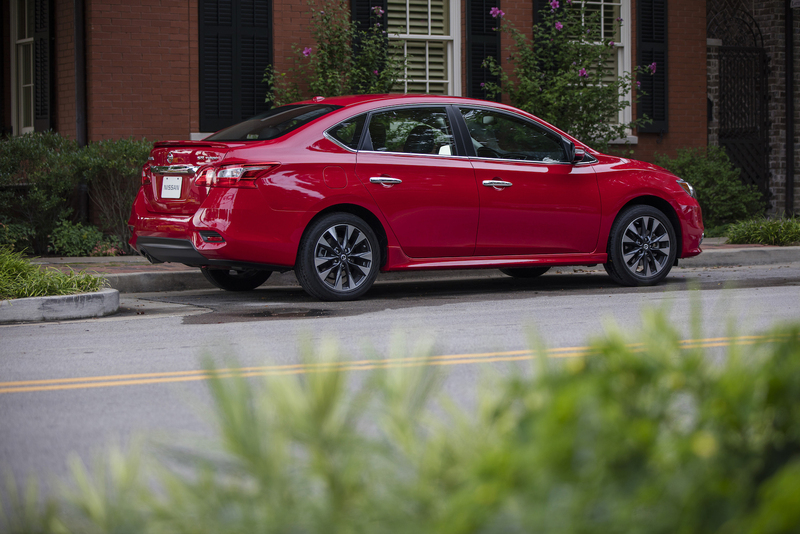 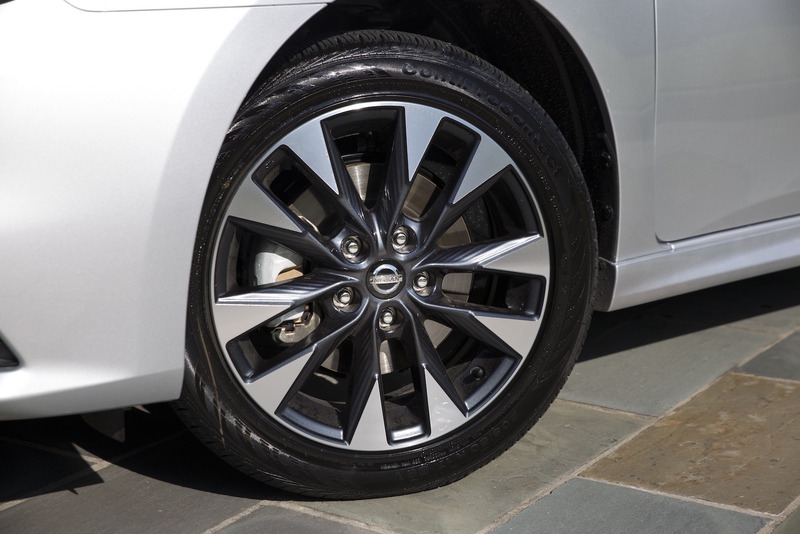 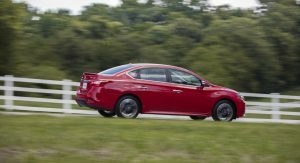 The car may be primarily an engine and transmission change, but this Sentra feels usefully more alert than the other models. 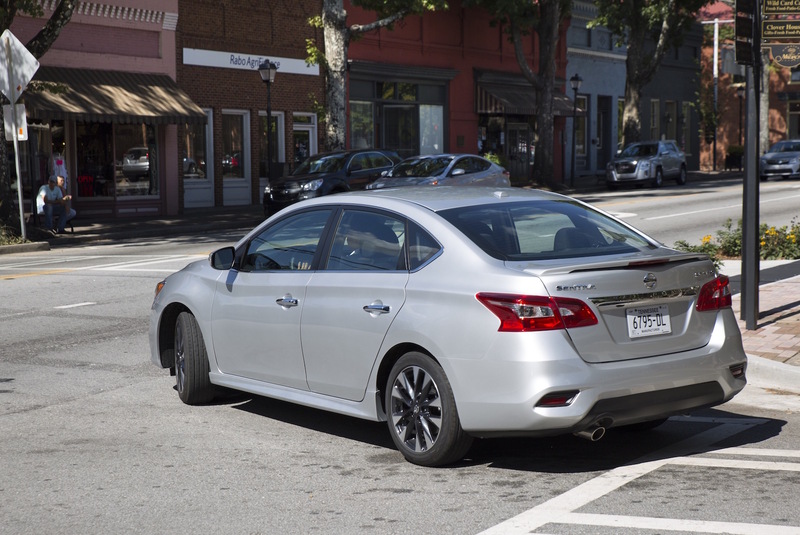 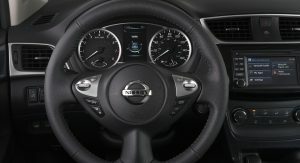 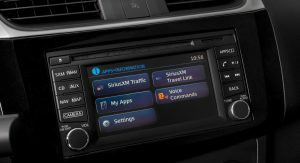 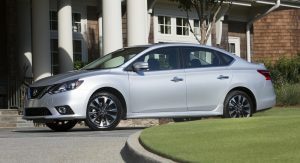 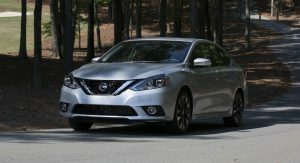 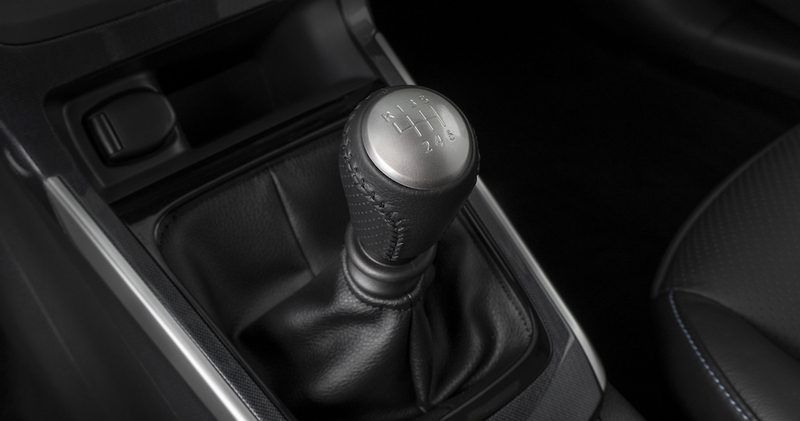 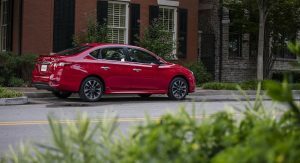 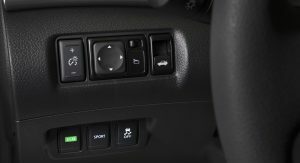 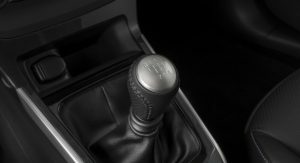 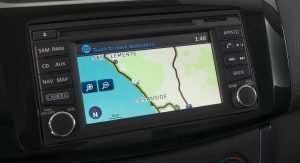 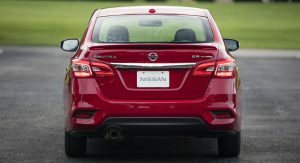 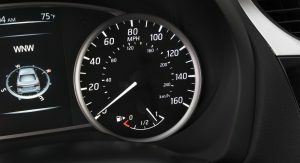 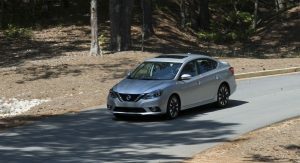 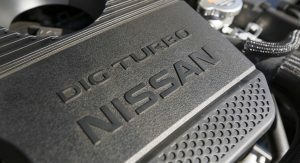 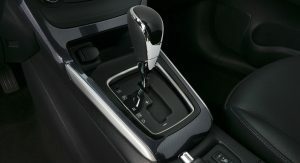 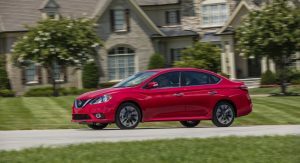 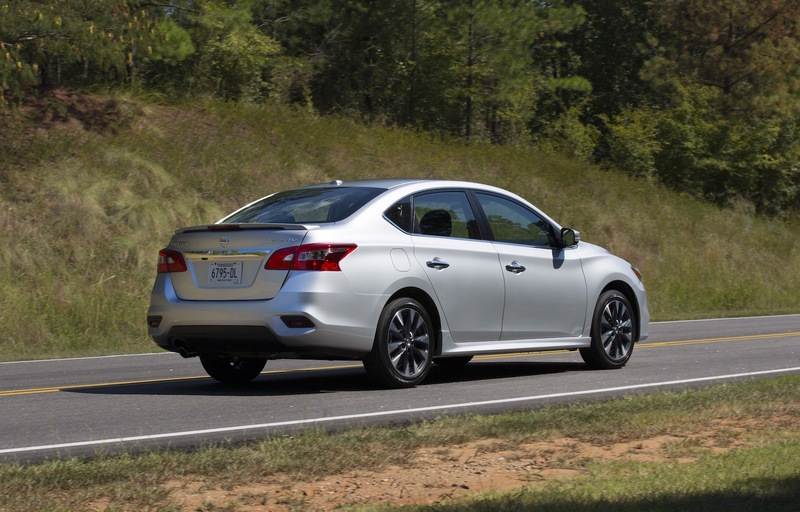 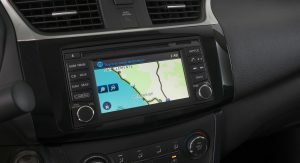 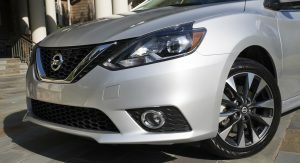 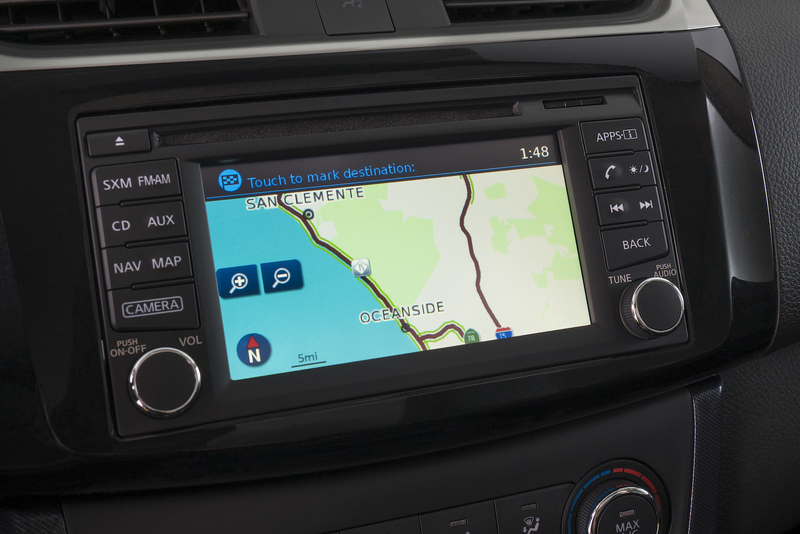 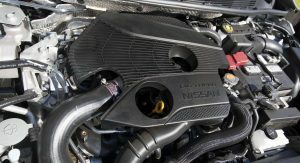 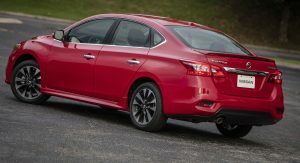 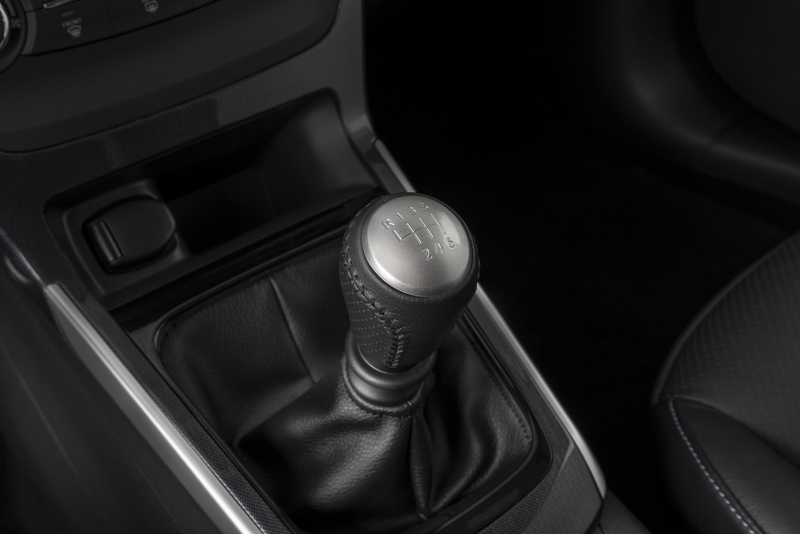 A six-speed manual is offered and the Sentra product guy I spoke to in Georgia says initial orders indicate dealers are actually going to stock them. 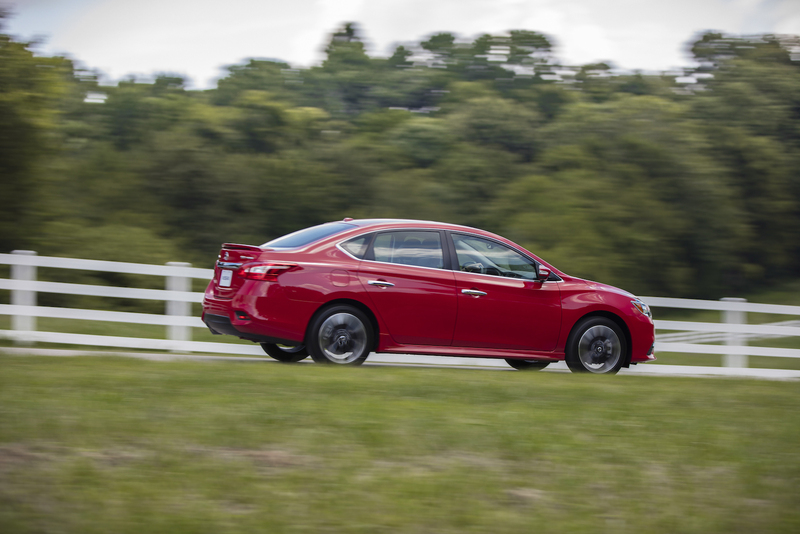 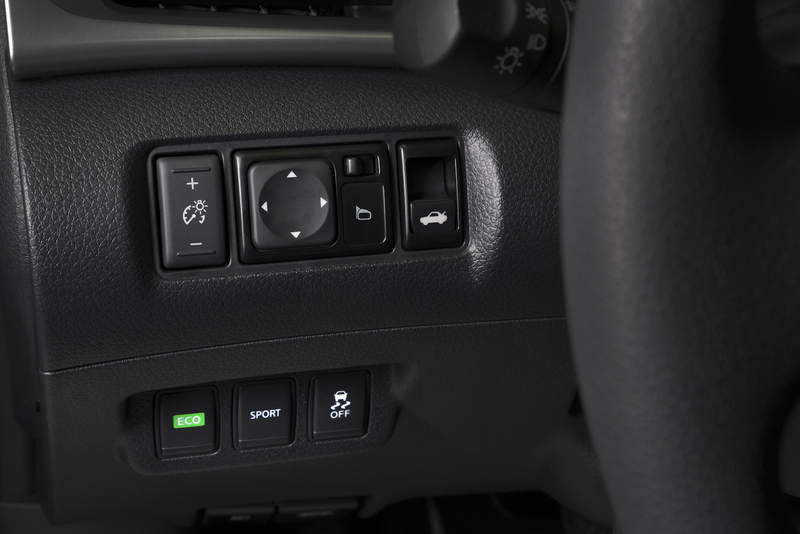 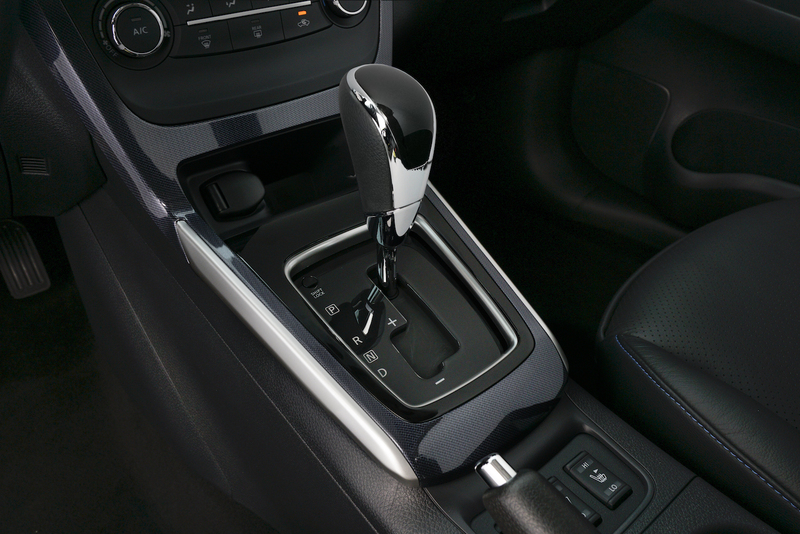 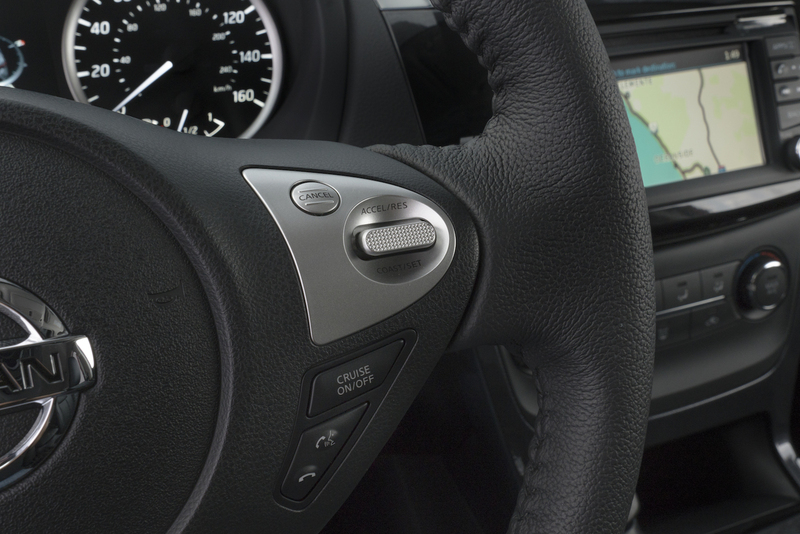 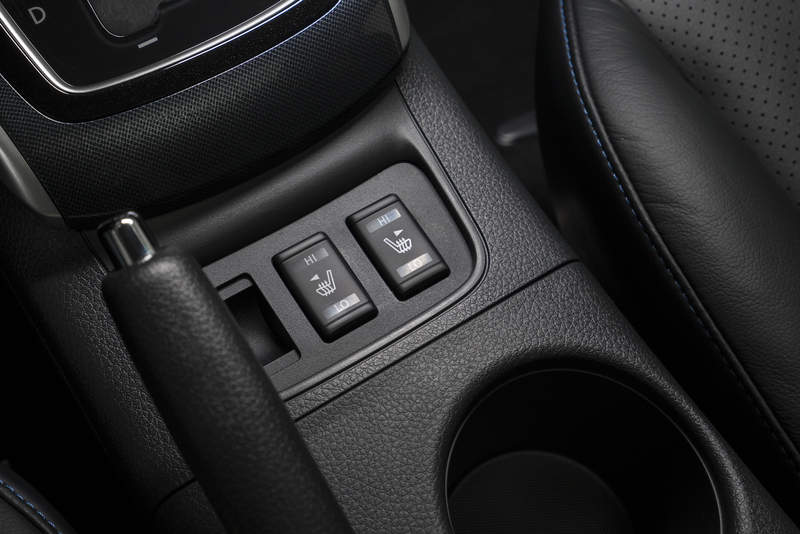 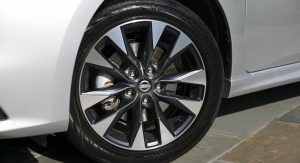 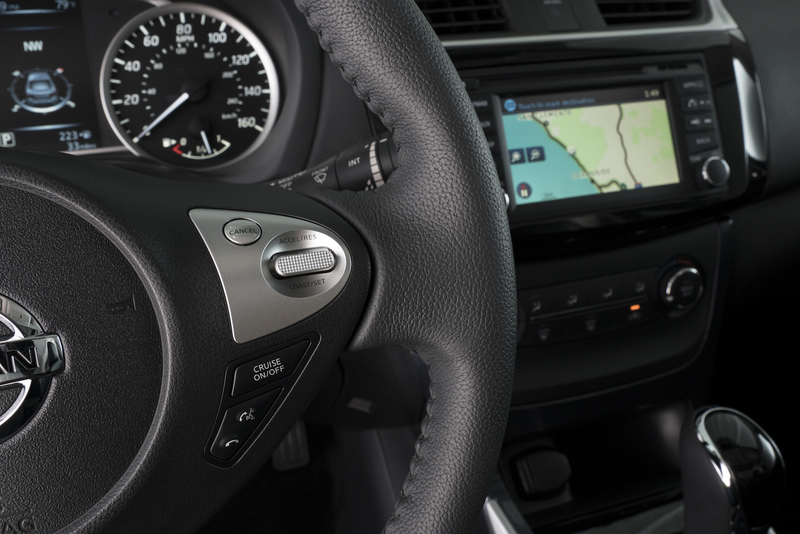 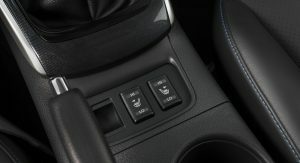 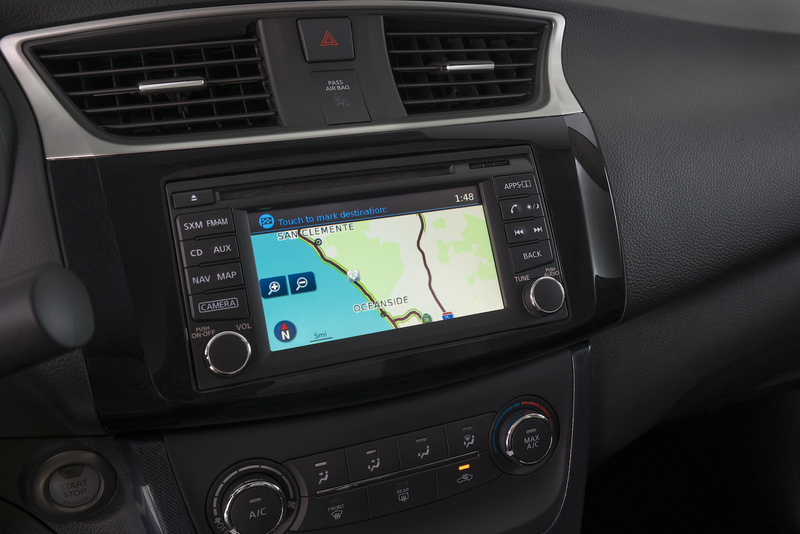 The CVT is a no-cost option, however. 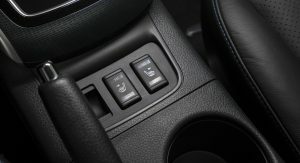 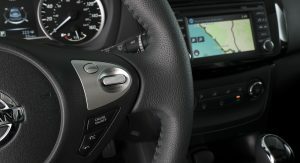 Not that the manual is a particularly nice thing to use, but the ability to select your own gears allows you to wring out the little 1.6-liter turbo from the Juke and soon it becomes entertaining to constantly take the revs north of 4500. 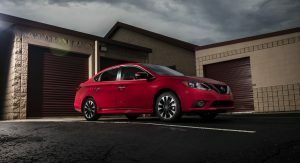 At 188 horsepower, it’s not in the league of hot hatches, but it does sit neatly between the Honda Civic EX-T and Volkswagen Jetta GLI – the SR Turbo’s main identified rivals. 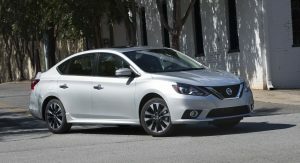 But the rest of the SR Turbo feels Sentra-esque, for better or for worse. 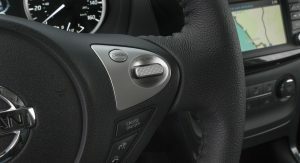 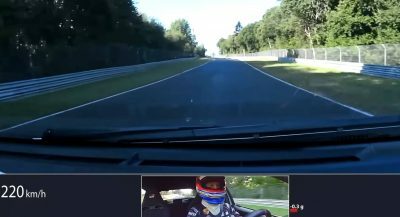 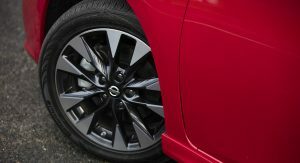 Changes in the transition were limited to slightly larger front brakes and bolting in a thicker cowl and not much else. 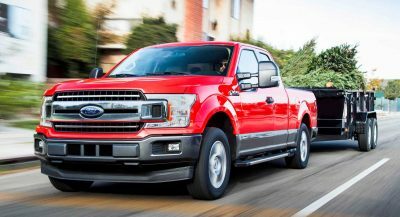 Fine, for the money anyway. 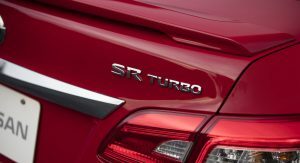 At less than $23,000, the SR Turbo seems right on the money for someone who needs a compact sedan but wants better-than-average performance. 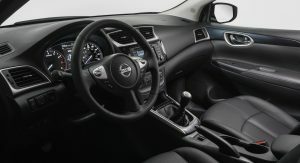 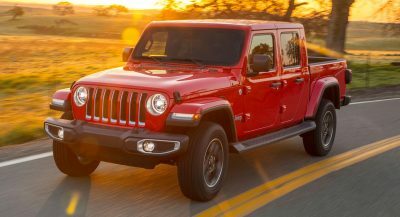 Manual and CVT versions are the same price and the only option is a big package combining leather seats and driver assistance tech. 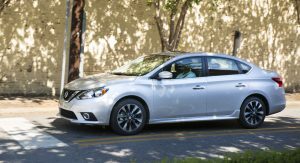 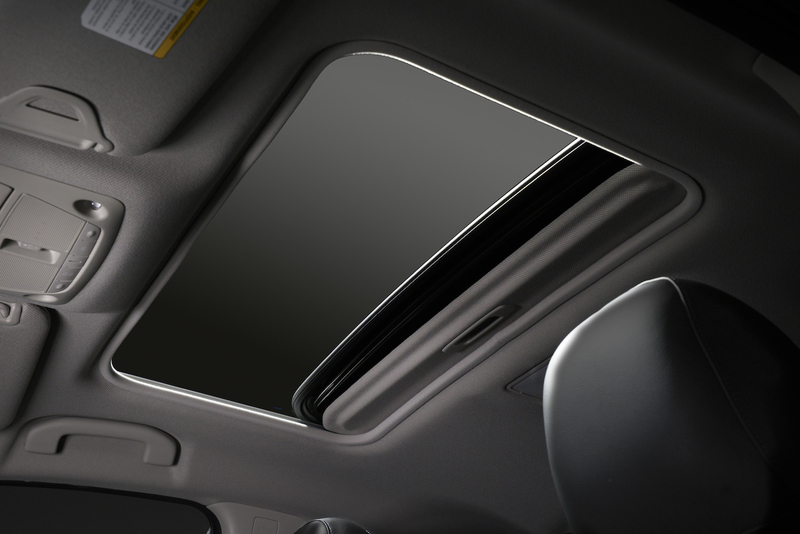 Nissan has also improved the breed, as all 2017 Sentras that go on sale next month get the SR Turbo’s thicker side windows to keep out more noise and the interior storage situation benefits from a larger center console. 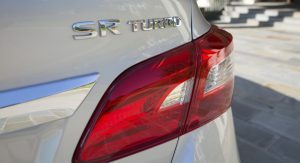 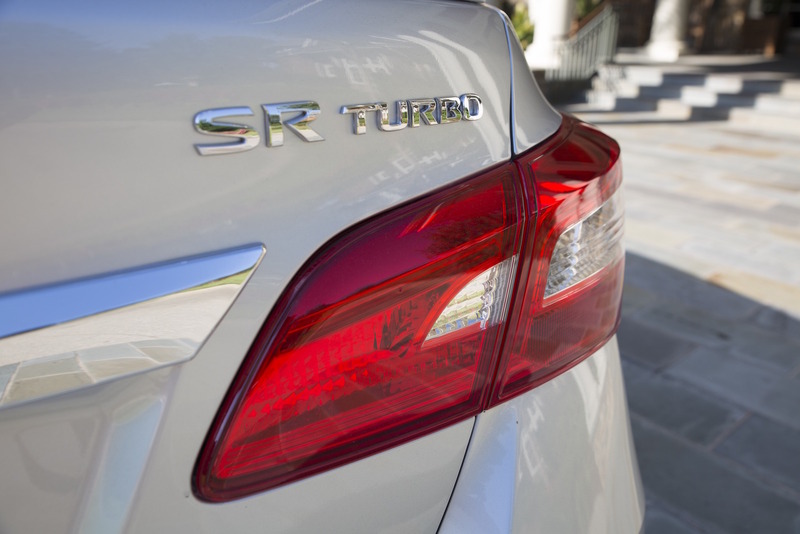 By not adding a certain vowel in the middle of the S and R other lauded Sentras used to have, the Sentra SR Turbo comes off as a perfectly likable car that has no intention of showing off in front of the performance compacts – and is happy that way. 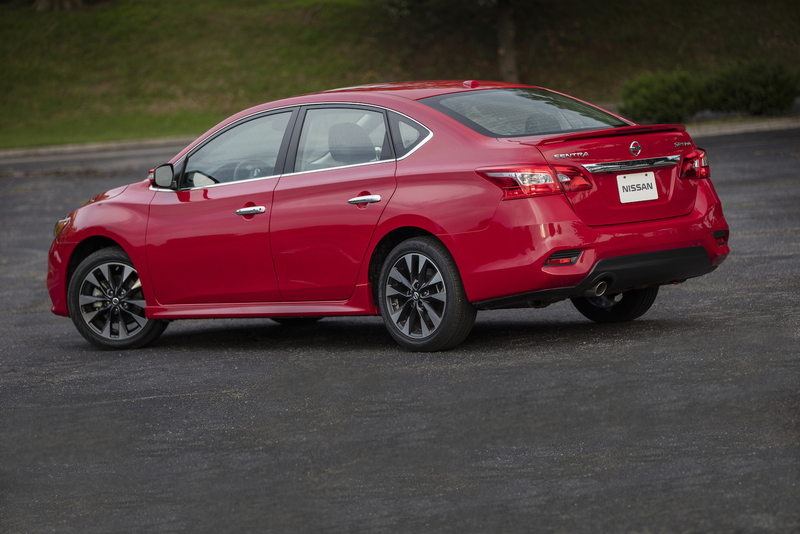 And if all you want is a compact sedan with added sparkle, it could be worth a look.